Follow space shuttle Endeavour's STS-126 mission to deliver equipment and supplies to the international space station. Reload for the latest updates. The Endeavour astronauts completed a final inspection of the shuttle's nose cap and wing leading edge panels today after undocking from the international space station. No obvious problems were seen, but it will take engineers a day or so to complete their analysis and give the ship a clean bill of health. The third and final post-undocking separation burn was just performed by Endeavour. The 23-second firing of the reaction control system thrusters was deferred from earlier today to avoid bringing the shuttle too close to a piece of Russian satellite space debris. The Orbiter Boom Sensor System has been berthed in the payload bay, its job complete for the mission. Endeavour's astronauts will begin an 8-hour sleep period at 8:55 p.m. EST. The inspections are finished and the crew is returning the boom to its cradle in the payload bay. Observations of the port wing are now underway aboard shuttle Endeavour. This is the third and final part of the inspections for today. Inspections of the reinforced carbon-carbon nose cap of the shuttle are complete. Endeavour is now 31 nautical miles from the space station, a distance that continues to open up. The right wing has been scanned using the laser and camera package of the Orbiter Boom Sensor System. The crew is swinging the boom in position to inspect Endeavour's nose cap next. The Endeavour astronauts have begun using the Orbiter Boom Sensor System on the end of the shuttle's robot arm for a series of heat shield inspections. The inspections are similar to the ones performed the day after launch. Today's survey results will be compared with the earlier data to ensure the orbiter's wing leading edge panels and nose cap are free of any space debris impacts that could have occurred during the mission. A series of engine firings will continue to increase the distance between the two spacecraft. However, the timing of the final separation burn will be delayed from 12:14 p.m. until 6:20 p.m. today to avoid the shuttle's path from coming too close to debris from a defunct Russian satellite, Mission Control says. Endeavour is back out in front of the station to complete a full loop flyaround. The shuttle is beneath the station now, continuing its circle around the complex. Endeavour is nearing a point directly behind the station in terms of the direction of travel of the two spacecraft around the Earth, which is known as the -V bar. Distance between the two craft has grown to 700 feet. Endeavour is reaching a point about 620 feet directly above the space station. The flyaround started with the shuttle in front of the station. It takes Endeavour to a point directly above the complex, then behind it, looping below and back out in front. After climbing above the station for a second time, the final separation engine firing will be performed. This burn will send Endeavour away from the vicinity of the station. Pilot Eric Boe has begun flying Endeavour in a one-lap flyaround of the station. Endeavour is now 230 feet from the station, backing away at just under 0.3 feet per second. The shuttle is headed to a point about 400 feet away where it will fire thrusters to begin an arc above the station. The undocking occurred 221 miles over Taiwan. UNDOCKING! Shuttle Endeavour and the international space station are parting company after 11 days, 16 hours and 46 minutes of being linked together high above Earth. The shuttle hauled up more than 14,000 pounds of equipment and hardware that will enable the space station to support larger resident crews beginning next year. Endeavour is due home at the Kennedy Space Center on Sunday, weather permitting. Hooks in the docking mechanism are driving open. Five minutes from undocking. The steering jets on Endeavour are inhibited for the period of physical undocking from the station. The separation occurs when large springs push the two craft apart. Once the shuttle is a couple feet away from the station and the docking devices are clear of one another, pilot Eric Boe will fire Endeavour's thrusters to continue the movement away. And the formal "go" for undocking has been given to the Endeavour crew. Both the shuttle and station flight control teams report all systems are ready for the undocking at 9:47 a.m. Endeavour's guidance system was aligned this morning, the entire shuttle/station complex was reoriented to the proper attitude for undocking and the station's giant solar arrays have been positioned to protect them from shuttle thruster plumes. The early weather forecast for Sunday afternoon's planned landing at the Kennedy Space Center in Florida indicates crosswinds and the chance of rain and thunderstorms could prohibit the shuttle's return. At the landing time, the forecast is calling for scattered clouds at 3,000 feet, a broken deck of clouds at 9,000 feet and overcast skies at 25,000 feet, seven miles of visibility, a south-southwesterly wind from 200 degrees of 16 peaking to 23 knots and the chance of precipitation within 30 miles of the Shuttle Landing Facility. The outlook for Monday predicts scattered clouds at 5,000 feet and a broken deck of clouds at 25,000 feet, seven miles of visibility and a westerly wind from 270 degrees of 14 peaking to 21 knots. The concern will be crosswinds and the possibility of a low cloud ceiling forming. The backup landing site at Edwards Air Force Base in California looks favorable both Sunday and Monday, with light winds and clear skies expected. Read our morning story with a preview of undocking. Space shuttle Endeavour will undocking from the international space station today to conclude a nearly 12-day visit that delivered the equipment needed to enlarge the outpost's crew size. Under the control of pilot Eric Boe, the shuttle will back away from the complex at 9:47 a.m. EST and then perform a full lap flyaround starting around 10:16 a.m.
Later today, the shuttle crew will use the inspection boom to scan the wing leading edges and nose cap to check for any space debris or micrometeoroid impact damage prior to Sunday's entry and landing. The astronauts were awakened at 5:55 a.m. this morning to the song "In the Meantime" by Spacehog. Read our story on the crew's farewell ceremony. Celebrating Thanksgiving in space, the crews of the international space station and the shuttle Endeavour enjoyed a half-day off today, looking forward to sharing a turkey dinner in orbit before saying farewell and closing hatches between the two spacecraft to set the stage for undocking Friday. Astronauts Don Pettit and Robert "Shane" Kimbrough, operating the space station's robot arm from inside the Destiny laboratory module, carefully detached the Leonardo cargo canister today and re-berthed it in the shuttle Endeavour's cargo bay. Leonardo is back in the payload bay and latched into place for the journey home to Kennedy Space Center this weekend. The Italian-made reusable module, making its fifth trip to the space station, delivered over 1,000 items amounting to more than 14,000 pounds, including water recycling gear, a second toilet, a new kitchen, exercise equipment and two private bedrooms that were transferred into the station. The cargo will enable the outpost to double its resident crew size from three people to six starting in the spring. After Leonardo was emptied, about 3,400 pounds of stuff needing a ride back to the ground and no-longer-used equipment were stowed into the module. Anchored on the end of the space station's robotic arm, the Leonardo module is undergoing a quarter roll to the proper orientation for entering the payload bay. After nine days being attached to the international space station for the unloading its cargo and subsequent packing of items for return to Earth, the Leonardo module has been unberthed from the nadir port of the Harmony connecting node. The module will be put back into the payload bay of Endeavour for the ride home. The first and second set of bolts have been driven open, space station astronaut Sandy Magnus reports. The space station's robotic arm has grappled Leonardo, allowing 16 electrically driven bolts to disengage for the module's removal from the outpost. The hatchway leading into the Leonardo cargo module has been closed in preparation for this afternoon's demating from the Harmony node and return to the payload bay of Endeavour for the trip back to Earth. Mission Control-Houston says a second attempt to deploy one of the rendezvous antennas aboard the station-bound Russian Progress cargo freighter was successful this morning. One of two narrow field proximity antennas used for range and range rate updates to the Progress computers had failed to unfurl following today's launch into orbit. But subsequent troubleshooting and another deploy command apparently succeeded in getting the antenna out. The antenna in question is part of the spacecraft's automated docking system. Russian flight controllers had told the station crew to be prepared for a manual docking if the antenna glitch could not be solved. The craft is slated to link up with the Pirs module of the station on Sunday morning. An unmanned Russian Progress supply ship was launched today, bound for a docking with the international space station Sunday. But officials said an antenna that is part of the vehicle's automated docking system failed to deploy, raising the prospect of a manual linkup by remote control. Aboard the station today, the astronauts will close out the Leonardo cargo module and, using the station's robot arm, move it back to the shuttle for return to Earth. Sporting an enhanced computer control system and loaded with food, supplies and holiday gifts, a Russian cargo-delivery spacecraft was launched toward the international space station this morning. The robotic Progress M-01M freighter was put into orbit by a three-stage Soyuz booster following a 7:38 a.m. EST liftoff from the Baikonur Cosmodrome and 9-minute ascent over Asia. Onboard commands then extended the Progress craft's two power-generating solar arrays to span 35 feet and unfurled communications and navigation antennas. However, one of those antennas may not have deployed as planned. Work to replace bearings and re-lubricate the space station's damaged right-side solar array rotary joint went better than expected, a senior manager said today, resulting in remarkably smooth operation that may permit the agency to forego building, launching and installing costly replacement hardware. And the station's newly installed water recycling system, including an initially cantankerous urine distillation assembly, appears to be operating normally and will allow Endeavour to bring back more samples for analysis than expected. Engineers began testing the space station's right-side solar array rotary joint today to find out if the damaged 10-foot-wide drive gear at the heart of the mechanism is rolling with less vibration and friction after spacewalking work by the Endeavour astronauts to install new bearings and lubrication. While engineers will spend weeks evaluating the test data, officials said telemetry showed lower motor currents, indicating reduced friction and smoother operation. After three false starts and around-the-clock troubleshooting, the newly installed urine processor aboard the international space station was fired back up late Monday and appeared to run relatively smoothly after additional work earlier in the day to stabilize a centrifuge in the system's distillation sub-system. Despite occasionally sounding like a washing machine in the spin cycle, the processor continued running well past the times of earlier shutdowns. Read our update story on the spacewalk's conclusion. EVA ENDS. Repressurization of the Quest airlock module is underway, marking the official end of today's spacewalk by Stephen Bowen and Shane Kimbrough at 7:31 p.m. EST. The EVA lasted 6 hours and 7 minutes. That brings the total time for the four spacewalks conducted during Endeavour's mission to 26 hours and 41 minutes. For Bowen, today was the third spacewalk in his career. He logged 19 hours and 56 minutes of EVA time on spacewalks No. 1, No. 3 and No. 4 of the STS-126 mission. For Kimbrough, his EVA scorecard now reads 12 hours and 52 minutes on spacewalks No. 2 and No. 4. Both spacewalkers are back inside the airlock, preparing to close the hatch on this fourth and final EVA of the Endeavour mission. With slightly elevated CO2 levels in his suit, spacewalker Shane Kimbrough is heading back to the airlock now. Once there, he will use a digital camera to quickly take some photos of the station radar panel that has a delaminated outer surface and await the end of the EVA. Stephen Bowen is finishing the last cover on the port SARJ. Shane Kimbrough is reattaching the thermal panels around the SARJ, having performed the preventive maintenance today. Stephen Bowen will be joining in to help with the cover installation. The GPS antenna installation job by spacewalker Stephen Bowen is done for today. Passing the four-hour mark of the EVA. Kimbrough has the grease guns at work on the port SARJ and Bowen is installing a new GPS antenna system atop the Japanese logistics module that will provide navigational assistance during approaches by the HTV resupply ships. Kimbrough has finished connecting the umbilicals to the new TV camera package. He'll be returning to the port SARJ to lubricate the rest of the race ring. Bowen has manually retracted that latch on the Japanese external facility berthing port that hung up during testing a few days ago. He's about to install the protective cover on the port. Our flight plan page has been updated to reflect the mission extension. The new television camera has been structurally attached to the nadir side of the space station's Port 1 truss. Spacewalker Shane Kimbrough has fetched the new television camera package from the airlock. The camera will be installed on the P1 truss to assist in the arrival of Japan's unpiloted HTV cargo spacecraft starting next year. While waiting for the port SARJ to be rotated, Kimbrough will be spending time installing a new television camera package on the Port 1 truss. Bowen's upcoming tasking will include retracting a latch and then placing a cover around the external berthing mechanism on the Japanese lab module. And Shane Kimbrough just reported he has finished the first portion of greasing the port SARJ. Flight controllers will be rotating the SARJ over the next little while and then Kimbrough will finish the greasing later in the EVA. The 11th and final trundle bearing assembly slated for replacement on the starboard solar alpha rotary joint by the Endeavour crew was just installed by spacewalker Stephen Bowen. He will reattach the thermal shielding at this location and that will complete the work on the damaged SARJ for the mission. Tomorrow, flight controllers will activate the paddle wheel joint for rotations as a test. Bowen has completed the scraping and lubrication to the final 30 degrees of SARJ ring on the starboard side of the space station truss. He'll next install the new bearing. Stephen Bowen has made his way to the damaged starboard SARJ to finish cleaning up the contamination and greasing the last section of the ring and then install the final trundle bearing assembly. These tasks couldn't be completed on Saturday's spacewalk because time ran out. Astronauts inspecting the space station's left-side solar alpha rotary joint, or SARJ, prior to lubrication intended as preventive maintenance, reported seeing signs of wear on a bearing race that appears similar to, though not nearly as extensive as, damage to the right-side SARJ. Shane Kimbrough has traveled to the port-side of the space station's truss structure where he will preventive maintenance on the solar alpha rotary joint, adding lubrication to that paddle wheel mechanism. The port SARJ has been working normally and today's work is aimed at ensuring the ring doesn't experience the same damage and vibrations as the starboard ring. Joining Kimbrough is fellow spacewalker Stephen Bowen who is lending a hand removing the various thermal covers that surround the SARJ. Later, Bowen will make his way the starboard SARJ to resume work there. Read our update story on the spacewalk beginning and Endeavour's mission being extended. EVA BEGINS. The spacewalkers switched their suits to internal battery power at 1:24 p.m. EST, marking the official start time for today's EVA by Stephen Bowen and Shane Kimbrough. Following depressurization of the Quest airlock, the module's outer hatch leading to space was just opened. Mission Control says both spacewalkers' suits have passed leak checks. After repeated efforts, the crew has gotten the waist ring engaged and latched on Shane Kimbrough's spacewalking suit as preparations continue aboard the space station for today's EVA. Commander Chris Ferguson is reporting difficulty getting the lower portion of Shane Kimbrough's spacesuit attached and locked. Mission managers have decided to extend the shuttle flight by a day, the astronauts were just told. Landing will be Sunday in Florida. Astronauts Stephen Bowen and Shane Kimbrough are set for a six-and-a-half-hour spacewalk today to finish work on the space station's damaged right-side solar array rotary joint and to carry out preventive maintenance on its port-side counterpart. The spacewalkers also plan to manually retract a berthing latch on the Japanese Kibo lab module, install GPS antennas and thermal covers and mount a new external TV camera. After running longer than previous attempts, the urine processor assembly has shut down again. An improvised fix to overcome subtle vibration issues that triggered premature shutdowns of the space station's new urine processor assembly may have paid off Sunday. Engineers say an initial test run continued past the point of earlier failures, raising hopes the critical system can be coaxed into normal operation. After work to remove rubber vibration dampers from a centrifuge assembly inside the space station's new urine recycling system, the astronauts and flight controllers began another test run Sunday evening to find out if the improvised fix will eliminate a vibration-related problem that triggered pre-mature shutdowns. Space station commander Mike Fincke and Endeavour astronaut Don Pettit opened up one of the station's new water recycling racks today and removed rubber dampers from a distillation assembly in hopes of fixing a vibration problem with a critical centrifuge. By bolting the unit directly to its shelf in the recycling rack, engineers believe the centrifuge motor may operate normally, allowing the astronauts to convert urine into potable water. Repairmen Don Pettit and Mike Fincke have removed the rubber grommets that had served as soft mounting points on the internal centrifuge in the urine processor assembly of the station's new water recovery gear, making the device more firmly anchored. The work is aimed at fixing an unclear problem that has been causing the urine system to shut down. Space station commander Mike Fincke and Endeavour astronaut Don Pettit will attempt repairs today that may resolve on-going problems with the station's newly installed urine recycling equipment. The rest of the shuttle crew, meanwhile, will enjoy a half-day off this morning before making preparations for a fourth and final spacewalk Monday by astronauts Stephen Bowen and Shane Kimbrough. Engineers troubleshooting problems with a centrifuge in the distillation assembly of hardware designed to convert urine into potable water aboard the international space station believe a relatively simple fix might resolve the trouble. Station commander Mike Fincke will attempt a repair job Sunday, removing vibration dampers from the centrifuge and locking the unit in place. In so doing, engineers believe, thermal expansion after the unit runs and warms up will no longer cause a specific sensor to interfere with the spinning centrifuge. EVA ENDS. Repressurization of the Quest airlock module is underway, marking the official end of today's spacewalk by Heidemarie Stefanyshyn-Piper and Stephen Bowen at 7:58 p.m. EST. The EVA lasted 6 hours and 57 minutes. That brings the total time for the three spacewalks conducted thus far during Endeavour's mission to 20 hours and 34 minutes. For Stefanyshyn-Piper, today was the fifth spacewalk in her career. She logged 13 hours and 8 minutes on a pair of EVAs during STS-115 in September 2006. So her new tally stands at 33 hours and 42 minutes. For Bowen, his EVA scorecard now reads 13 hours and 49 minutes on spacewalks No. 1 and No. 3 of the STS-126 mission. The fourth and final spacewalk for the Endeavour crew is planned for Monday. Bowen will be joined by Shane Kimbrough for that excursion to complete the starboard SARJ work, add preventative lubrication to the port SARJ and install an external TV camera and GPS antenna. The spacewalkers are ingressing the airlock. The crew has moved into cleanup and tool inventory tasks as this spacewalk winds down. The spacewalkers are going to run out of time to complete work on the final trundle bearing assembly today. Mission Control wants to keep the duration of the EVA at about seven hours. The thermal cover panels have been secured in the overnight stowage spot where they will be left. The old unit has been removed from that slot, but no cleaning or lubrication of the ring occurred today. That work and installation of the new bearing and thermal covers will fall to spacewalk No. 4, planned for Monday by Stephen Bowen and Shane Kimbrough. Spacewalker Stephen Bowen has engaged three bolts and attached the electrical umbilical to complete the installation of the fifth trundle bearing assembly for today's EVA and the 10th overall. Fellow spacewalker Heidemarie Stefanyshyn-Piper is working nearby at the worksite where the final TBA goes. Working at the final section of uncleaned SARJ, spacewalker Heidemarie Stefanyshyn-Piper has removed the last of the old trundle bearing assemblies for replacement with a fresh unit. Stefanyshyn-Piper is unbolting the final set of covers now to gain access to the last section of uncleaned SARJ. Bowen is working to install the next-to-last trundle bearing assembly. The fourth bearing of the day was just installed by spacewalker Heidemarie Stefanyshyn-Piper. That leaves two more assemblies to be installed during the remainder of the EVA. Bowen already started working at one of the final two sites. This is the 117th spacewalk devoted to station assembly and maintenance since construction began 10 years ago this week and the 18th so far this year. It is the second spacewalk for Bowen and the fifth overall for Stefanyshyn-Piper, who participated in two EVAs during a 2006 station assembly mission. Going into today's spacewalk, station EVA assembly time stood at 732 hours and 25 minutes. The total for Endeavour's crew through two spacewalks was 13 hours and 37 minutes. Now four-and-a-half hours into this planned seven hour EVA. Bowen has finished reattaching the thermal covering at the worksite where he installed a new bearing a short time ago. He'll be pressing ahead to another location to repeat the cleaning and bearing replacement chores. Stefanyshyn-Piper continues cleaning her third worksite. Spacewalker Stephen Bowen has bolted into place and mated the electrical connector for another trundle bearing assembly. It is the third TBA installed today and the 8th of 11 for the Endeavour mission. With the covers removed at her third area, Heidemarie Stefanyshyn-Piper reports a buildup of debris to be cleaned up around the old bearing. Mission Control has asked her to get the digital still camera and take some shots. Stefanyshyn-Piper reinstalled the thermal covering at her second worksite. Her next location will see the temporary removal of two covers to access an old trundle bearing that will be replaced. Stephen Bowen is using cleaning wraps that fit over his spacesuit gloves to remove the debris on the SARJ ring and grease the site. Another fresh trundle bearing assembly has been attached to the starboard SARJ by spacewalker Heidemarie Stefanyshyn-Piper. Bowen is starting to remove covers at his second worksite while Stefanyshyn-Piper is cleaning the contamination on the ring at her second location. Bowen is right on his timeline and Piper is about 35 minutes ahead of her schedule. Stephen Bowen is finishing the tasks at his first worksite as the spacewalk passes the two-hour mark. The particular area cleaned around a bearing that won't be replaced. Stefanyshyn-Piper reinstalled the thermal covers at her first worksite and has moved on to remove the covering at the next location to begin the cleaning process there. Bowen is greasing the SARJ at his position. Having cleaned and greased the first SARJ section of the day, Heidemarie Stefanyshyn-Piper just installed a new trundle bearing assembly. That makes six of the 11 bearings slated for replacement during Endeavour's mission now complete. Heidemarie Stefanyshyn-Piper is beginning to clean away fine metal filings and lubricate a section of the SARJ where the thermal covers were removed during the last spacewalk and left off. Stephen Bowen is in the process of removing three more covers to expose those sections. Both spacewalkers have egressed the Quest airlock module and made their way down the station's truss structure to reach the starboard solar alpha rotary joint where all of today's work will occur. EVA BEGINS. The spacewalkers switched their suits to internal battery power at 1:01 p.m. EST, marking the official start time for today's EVA by Heidemarie Stefanyshyn-Piper and Stephen Bowen. Depressurization has been completed and the Quest airlock's outer hatch leading to space just swung open. The airlock is nearing vacuum. Preparations for today's EVA are running roughly 45 minutes ahead of schedule. Heidemarie Stefanyshyn-Piper and Stephen Bowen have donned their spacesuits and gone into the section of the airlock that will be depressurized a few minutes from now. Astronauts Heidemarie Stefanyshyn-Piper and Stephen Bowen are gearing up for a grueling seven-hour spacewalk today to finish cleaning and lubricating the international space station's damaged right side solar array rotary joint. Engineers in Houston, meanwhile, are continuing tests to troubleshoot problems with the station's new urine recycling system. Engineers believe the problem with the space station's new urine processor assembly, a key component in the water recycling system needed to boost the space station's crew size from three to six, involves trouble with a motor or associated sensors in a centrifuge that helps separate pure water from urine in a vacuum distillation system. Using continual pulses by Endeavour's thrusters for about 30 minutes today, the space station's orbit has been boosted by 3.1 feet per second, resulting in a one-mile altitude gain that sets the stage for launching a Russian Progress resupply craft next week. The new urine processor assembly aboard the international space station, a key component in a water recycling system needed to convert urine and condensate into drinking water, was re-activated early today after problems Thursday. The processor operated for about two hours and then shut itself down again. Engineers are troubleshooting error messages while the astronauts press on with other work. Flight controllers restarted the space station's new urine processor assembly overnight after troubleshooting an alarm that interrupted initial startup operations Thursday. Additional work with the water recycling system is on tap today, along with additional equipment transfers to the station and preparations for a third spacewalk Saturday. Despite a tool shortage, a spacesuit carbon dioxide buildup late in the day and communications problems, spacewalkers Heidemarie Stefanyshyn-Piper and Robert "Shane" Kimbrough accomplished the primary goals of a six-hour 45-minute spacewalk, officials said today, moving two equipment carts, servicing the space station's robot arm and continuing work to clean and lubricate a jammed solar array rotary joint. Inside the lab complex, meanwhile, other astronauts ran into start-up glitches with the lab's new urine processor. See our update story on the conclusion of the EVA here. EVA ENDS. Repressurization of the Quest airlock module is underway, marking the official end of today's spacewalk by Heidemarie Stefanyshyn-Piper and Shane Kimbrough at 7:43 p.m. EST. The EVA lasted 6 hours and 45 minutes. That brings the total time for the two spacewalks conducted thus far during Endeavour's mission to 13 hours and 37 minutes. The next two spacewalks are planned for Saturday and Monday. Kimbrough is back in the airlock and Stefanyshyn-Piper is heading there now. Heidemarie Stefanyshyn-Piper has installed another new bearing and Shane Kimbrough finished work for today at his site. Both spacewalkers are about to wrap things up and head back to the airlock. The starboard SARJ chores will be completed during the next EVA on Saturday by Stefanyshyn-Piper and Stephen Bowen. Now 5.5 hours through this second EVA of Endeavour's mission, the spacewalkers are operating on opposite sides of the SARJ. Right now, Stefanyshyn-Piper is cleaning her latest section and Kimbrough is removing another of the original bearings. The spacewalkers are marveling at a beautiful orbital sunrise as they work to restore the space station's starboard side solar array paddle wheel joint more than 200 miles above the planet. They are removing the old trundle bearing assemblies, cleaning up the metal filings and debris, applying lubrication and then installing fresh bearings. Today's EVA has been going well and without any major hiccups. Working around lost tools, astronaut Heidemarie Stefanyshyn-Piper said an alternative approach, using grease-impregnated wipes to apply a coating of lubricant to a damaged solar array drive gear, works just as well as lubricant from a grease gun to contain debris freed up by a scraper tool. Spacewalker Shane Kimbrough has concluded the Canadarm2 grapple snare greasing and maintenance work. Soon he will head over to the starboard SARJ and join Heidemarie Stefanyshyn-Piper there. Now passing the three-hour mark in the EVA. Both spacewalkers continue hard at work at their respective sites. Heidemarie Stefanyshyn-Piper is over at the starboard solar alpha rotary joint to resume the cleaning on another section of the damaged ring while Shane Kimbrough is doing some maintenance on the free end of the station's robot arm. The second of the two Crew and Equipment Translation Aid - CETA - carts has been locked in place on the truss of the space station, completing this task for today's EVA. The carts had to be relocated from one side of the Mobile Transporter rail car to the other. This clears the rail system for the February installation of the Starboard 6 solar array truss using Canadarm2 when that power module arrives aboard space shuttle Discovery. The second cart is now in the hands of Shane Kimbrough. It has been freed from the truss for the move. With the CETA cart No. 1 locked down on the rail tracks, the spacewalkers have headed back to get the second cart. The spacewalkers are working together now to install the first cart to its new location on the port side of the Mobile Transporter. With Endeavour mission specialist Shane Kimbrough standing on the station's robot arm, the astronaut has pulled the first CETA cart off the station rail tracks. He will hold the cart in his hands while the arm swings him from the station's starboard side of the Mobile Transporter over to the port side for re-installation of the CETA cart. Both spacewalkers are working on the steps to prepare the Crew and Equipment Translation Aid (CETA) carts for moving to the other side of the Mobile Transporter on the space station's truss structure. The carts will be pulled off the rail tracks and hand-carried by spacewalker Shane Kimbrough, while riding the robot arm, from the starboard side to the port side of the station. This relocation is necessary so that the Mobile Transporter can access the farthest point on the starboard truss for installation of the massive S6 solar array module during the next shuttle flight in February. This is the 116th spacewalk devoted to station assembly and maintenance since construction began 10 years ago today. It is the 17th station spacewalk so far this year and the second of four planned for Endeavour's mission. Going into today's EVA, more than 80 astronauts and cosmonauts had logged 725 hours and 40 minutes of spacewalk construction time. Both spacewalkers have egressed the Quest airlock module to get today's work underway. This is the fourth EVA for Heidemarie Stefanyshyn-Piper and the first for Shane Kimbrough. EVA BEGINS. The spacewalkers switched their suits to internal battery power at 12:58 p.m. EST, marking the official start time for today's EVA by Heidemarie Stefanyshyn-Piper and Shane Kimbrough. Airlock depressurization is now underway. Dressed in their spacewalking suits, Heidemarie Stefanyshyn-Piper and Shane Kimbrough have gone into the section of the airlock that will be depressurized a short time from now. Preparations for today's EVA are running about an hour ahead of schedule. Marking the international space station's 10th anniversary, the Endeavour astronauts are gearing up for a second spacewalk today, a planned six-and-a-half-hour excursion to service the station's robot arm, to continue cleaning and lubricating a damaged solar array rotary joint and to make preparations for the next shuttle assembly flight in February. Read our spacewalk preview story. Mission Control has awakened the crew for the start of Flight Day 7 aboard the shuttle and station complex. The astronauts are making final preparations for today's spacewalk by Heidemarie Stefanyshyn-Piper and Shane Kimbrough to relocate a pair of carts on the station's truss rails, lubricate the robot arm's snares and then continue with the cleaning and repairs to the starboard solar alpha rotary joint. The EVA should get underway shortly after 1 p.m. EST. Astronaut Heidemarie Stefanyshyn-Piper told reporters today the loss of a $100,000 tool bag during an otherwise successful spacewalk Tuesday was "disheartening" and that it was difficult to face her crewmates when she returned to the shuttle-space station complex. Fellow spacewalker Stephen Bowen, who said he was responsible for making a final tether check of the bag before the EVA began, said he was equally to blame for the mishap. Aboard the space station today, the astronauts has been working as plumbers and electricians to install the various pieces of the water recycling hardware that will enable the complex to support larger resident crews starting next year. Additionally, transfers of the new sleeping quarters and other equipment carried up in the Leonardo cargo module have been underway. The Endeavour astronauts and their space station crewmates are preparing for a busy day inside the international lab complex, hooking up water recycling gear in the Destiny module and installing new sleep stations. Astronauts Heidemarie Stefanyshyn-Piper and Shane Kimbrough also will check out their spacesuits and review procedures for a second spacewalk Thursday, the 10th anniversary of the start of station construction. The space shuttle Endeavour's heat shield was given a clean bill of health late today and officially cleared for entry as is. While there are a handful of minor blemishes, engineers studying launch and on-orbit imagery say none of them poses any problem for re-entry. NASA planners are studying options for replacing, or doing without, two grease guns lost overboard from the international space station today when spacewalker Heidemarie Stefanyshyn-Piper, struggling to clean up after an unexpected grease gun leak, somehow let a 30-pound tool bag get away. Astronauts Heidemarie Stefanyshyn-Piper and Stephen Bowen wrapped up a six-hour 52-minute spacewalk today, installing a spare coolant system component on the international space station, moving a depleted nitrogen tank to the shuttle Endeavour for return to Earth and cleaning a damaged solar array rotary joint. EVA ENDS. Repressurization of the Quest airlock module began at 8:01 p.m. EST, marking the official end of today's spacewalk by Heidemarie Stefanyshyn-Piper and Stephen Bowen. The EVA lasted 6 hours and 52 minutes. It was the first of four spacewalk planned for Endeavour's STS-126 mission. The outer hatch has been closed and locked. The spacewalking duo has returned to the airlock and are preparing to close the hatch to complete this successful first EVA of Endeavour's STS-126 mission. Stefanyshyn-Piper has finished cleaning and lubricating the latest section of SARJ. Installation of the new trundle bearing assembly will occur on the next spacewalk. She and Bowen are reattaching the thermal coverings now as today's spacewalk nears conclusion. While the spacewalk has been underway today, the other astronauts have been busy inside the space station. The two water recycling racks and the new galley were moved from the Leonardo cargo-delivery module and put into the space station. Bowen is in doing a tool inventory and buttoning up the worksite, having now completed his SARJ work for this EVA. Fellow spacewalker Stefanyshyn-Piper is cleaning and greasing another section of the ring. The SARJ work has been going smoothly for the astronauts despite the earlier grease spill and lost tool bag. Stefanyshyn-Piper just removed another trundle bearing assembly as the spacewalkers continue to work around SARJ ring. Bowen is finishing the process to replace his first bearing. Now passing the four-and-a-half mark in the EVA. Stefanyshyn-Piper has finished cleaning the SARJ section where she removed the original trundle bearing assembly. Now she will install a fresh bearing. Bowen is cleaning and lubricating his first section of SARJ before bolting a new bearing in place. Spacewalker Stephen Bowen has removed his first trundle bearing assembly as the SARJ repairs and cleaning continues. Spacewalker Heidemarie Stefanyshyn-Piper, arranging tools and work bags before beginning work to clean and lubricate a space station solar array rotary joint, lost a tool kit overboard and along with it two grease guns, a scraper, a debris container and a large trash bag. When the tool kit floated away, she was struggling to clean up grease inside the bag that somehow leaked out. Stefanyshyn-Piper has unbolted the first of the trundle bearing assemblies to be replaced on the SARJ during Endeavour's mission. Mission Control says that despite the lost bag of tools, another set of equipment being carried by Stephen Bowen will allow today's work on the SARJ to continue. Stefanyshyn-Piper just reported one of the spacewalkers' tool bags has accidentally floated away, moving aft and starboard of the station. It contained a set of tools and equipment for cleaning and lubricating the SARJ. Stephen Bowen is removing a cover on a berthing port of the station's Japanese segment. The rest of today's spacewalk will be spend servicing and cleaning the starboard solar alpha rotary joint. But during preparations to start the work, Stefanyshyn-Piper discovered one of the grease guns in the tool bag appears to have leaked all over other items. The spare flex hose rotary coupler has been installed on one of the space station's external spare parts platforms for possible use in the future. Still perched on the end of the Canadian robotic arm, Heidemarie Stefanyshyn-Piper has the spare part for the station cooling system in her hands for its stowage on the outpost. Mission Control says the spacewalkers are running about 30 minutes ahead of the timeline. The depleted nitrogen tank has been bolted to the underside of the cross-bay carrier in Endeavour's payload bay for the ride back to Earth. Next up, the spacewalkers will retrieve a spare flex hose rotary coupler mounted to the topside of the cross-bay carrier and transfer the device to the space station. Holding the nitrogen tank assembly, Piper is riding the station's robot arm down to the shuttle's payload bay. Bowen meanwhile is climbing down to the bay to help Piper stow the tank. During today's spacewalk Piper can be identified by solid red bands on the legs of her spacesuit. Bowen's suit is all-white. Bowen has also exited the airlock and are setting up their gear. The first task of this EVA will be to move an empty nitrogen tank from the station's external stowage platform to the shuttle's cargo bay for return to Earth. Piper has been given a go to leave the airlock. Today's spacewalk by Heidemarie Stefanyshyn-Piper and Stephen Bowen officially got underway at 1:09 PM EST. The hatch to the crew lock is now closed. Piper and Bowen are now in the crew lock portion of the airlock as preparations for today's spacewalk continue. The spacewalkers are being fitted with their SAFER jet backpacks which will be used in the event they break loose of the station. Piper and Bowen are now fully enclosed within their spacesuits with the helmets closed. The two spacewalkers are inside the leg and torso portions of their spacesuits and are now putting on their pressurized gloves. Inside the Quest airlock module spacewalkers Heidemarie Stefanyshyn-Piper and Stephen Bowen are climbing into their bulky space suits, assisted by their crewmates. Heidemarie Stefanyshyn-Piper and Stephen Bowen are gearing up for a planned six-and-a-half-hour spacewalk today to clean and lubricate a damaged 10-foot-wide solar array drive gear on the international space station. They also plan to begin replacing 11 of 12 bearings on the massive gear in a bid to restore the rotary mechanism to near normal service and improve electrical output from the lab's right-side solar arrays. The spacewalk is scheduled to begin around 1:45 p.m.
Read our detailed preview story. The space shuttle and space station astronauts are awake and beginning final preparations for today's spacewalk, the first of four planned during Endeavour's mission. The EVA is scheduled to get underway around 1:45 p.m. EST. Initial analyses of laser scans Saturday and photos taken from the international space station as the shuttle Endeavour closed in Sunday indicate the orbiter's heat shield is in good shape, with no major problems that would require a so-called focused inspection later this week, officials said today. Running nearly two hours ahead of schedule, the astronauts opened the hatchway and entered into the Leonardo module at 6:43 p.m. EST. Station commander Mike Fincke reported the module was in good shape following its ascent into space. More high definition video has been posted, included a dramatic view of the space station during yesterday's backflip by the shuttle. Our Spaceflight Now Plus subscribers can view the videos here. The Multi-Purpose Logistics Module, named Leonardo, has been successfully mounted to the nadir berthing port of the international space station's Harmony connecting node. The Italian-made reusable module is filled with over 1,000 items amounting to more than 14,000 pounds, including water recycling gear, a second toilet, a new kitchen, exercise equipment and two private bedrooms that will be transferred into the space station over the next several days. The cargo will enable the outpost to double its resident crew size from three people to six starting in the spring. After Leonardo is emptied, no-longer-needed materials will be stowed into the module before it is detached and returned to the shuttle payload bay next week for the trip back to Earth. Leonardo has been seated into the docking port. And with that Endeavour astronaut Shane Kimbrough has given to new station flight engineer Sandy Magnus a "go" to begin the initial capture sequence. The station arm will be limped while electrically-driven bolts tighten to firmly connect the cargo-delivery module to the space station. The "go" was just made to push on to the ready-to-latch position. The module is heading to the pre-install waypoint now. Under the control of mission specialists Don Pettit and Shane Kimbrough, the space station arm has lifted Leonardo cleanly out of Endeavour's bay. The astronauts will give the module a quarter roll before moving it inward to the Harmony module's berthing port. Leonardo is on the move now, ever so slowly rising out of the shuttle. The hatches holding Leonardo in the payload bay have been released, freeing the module to be unberthed by the station arm in the coming minutes. The international space station's robotic arm has grappled the Leonardo cargo module riding in space shuttle Endeavour's payload bay. The Canadian-built arm will hoist the Italian module from the shuttle and attach it to the nadir port of the station's Harmony connecting node. The combined crews of the shuttle Endeavour and the international space station are gearing up for a busy day in space, moving a 27,000-pound cargo module loaded with critical equipment and supplies from the shuttle to a docking port on the lab's Harmony module. The astronauts also will also make final preparations for the mission's first spacewalk Tuesday. ISS flight director Brian Smith reports that a close up inspection of the starboard wing area of the shuttle's thermal protection system will not be needed, clearing the way for the installation of the Leonardo pressurized logistics module. At an overnight meeting, NASA officials reviewed the imagery and data collected during the survey of the shuttle after it reached orbit and determined there was no sign of damage that would require any further investigation. If an inspection had been necessary, the docking of the logistics module would have been delayed to allow the shuttle's sensor boom clearance to reach the wing area. The module will now be lifted out of the payload bay and docked to the station's Node 2 later today. NASA astronauts Greg Chamitoff and Sandy Magnus officially swapped roles aboard the international space station and shuttle Endeavour around 9:50 p.m. EST. Magnus flew up on the shuttle and becomes flight engineer No. 2 and the science officer aboard the station as a member of the Expedition 18 crew. Chamitoff has been living aboard the station for the past six months and will return to Earth on Endeavour. He becomes a mission specialist on the STS-126 crew. Our evening story has been updated following the mission status briefing. HATCHES OPEN. The hatchway between Endeavour and the space station were opened at 7:16 p.m. EST, and the shuttle crew is being welcomed aboard the outpost now. The docking ring between the two craft has been retracted into Endeavour's Orbiter Docking System, pulling the station to a tight mating. The hooks and latches are driving shut to firmly connect the two spacecraft. Pressure and leak checks will be performed by the crews before the hatchway is opened around 7 p.m. EST. The space shuttle Endeavour, piloted by commander Chris Ferguson from the aft flight deck, glided to a picture-perfect docking with the international space station today as the two spacecraft sailed through orbital darkness 212 miles above northeastern India at five miles per second. Today's docking occurred a few minutes early at 5:01 p.m. EST as the shuttle and station flew at an altitude of 212 miles over northern India near the Chinese border. CONTACT AND CAPTURE! Endeavour has arrived at the space station to deliver expanded living quarters that will allow the outpost to double its resident crew size. The relative motions of the shuttle and station will be allowed to damp out over the next few minutes by the spring-loaded docking system. Later, the hooks and latches will be closed to firmly join the two craft and Endeavour's Orbiter Docking System docking ring will be retracted to form a tight seal. The opening of hatches between the station and shuttle is expected in about 90 minutes. That will be followed by a welcoming ceremony and safety briefing. The distance to docking is now 5 feet. Now 10 feet separating the shuttle from the station. Endeavour's thrusters are programmed to fire in a post-contact maneuver to force the two docking ports together. That procedure is being armed. Endeavour and the station are 20 feet apart. The final approach beginning. The alignment between docking ports on Endeavour and the space station is acceptable and no "fly out" maneuver by the shuttle is necessary. Now 63 feet left to go. About 100 feet separate the shuttle and station. Endeavour is closing at about 0.15 feet per second. Now about 150 feet from docking. Endeavour is less than 200 feet from the station. The shuttle's crew has been given a "go" for docking. The shuttle has reached the point directly in front of the station along the imaginary line called the velocity vector, or +V bar. Endeavour is marking the arc from the point beneath the station to a point in front of the complex to align with the docking port on the Harmony module. Docking is about 45 minutes away. The pitch maneuver has been completed. Endeavour is back in the orientation where it started, with the payload bay looking up at the station. The main engine nozzles of Endeavour are facing the station now as the shuttle points its tail upward. This 360-degree, nose-first pirouette by Atlantis gives the station crew about 100 seconds of quality photography time to snap detailed pictures of the orbiter's black tiles in the search for any launch impact damage. The formal photo-taking period has started for the Expedition 18 crew, now that the shuttle has rotated its underside in view of the station complex. Endeavour is nose-up facing the station as the two craft fly more than 200 miles above the planet. The rendezvous pitch maneuver -- the 360-degree flip -- is beginning. The shuttle is the under the control of commander Chris Ferguson, who is flying the ship from the aft flight deck. As the shuttle's underside rotates into view, the station's crew will photograph Endeavour's belly with handheld digital cameras equipped with 400- and 800-millimeter lenses. After completing the RPM maneuver, Endeavour will fly directly ahead of the space station with the shuttle's nose facing deep space and its cargo bay pointed at the lab complex. Then Ferguson will guide the spacecraft to a docking with a pressurized mating adapter attached to the Harmony connecting module. Endeavour has closed to within 800 feet beneath the space station. The shuttle backflip is coming up shortly. Now 1,400 feet between the two spacecraft. The shuttle is about 2,100 feet below the station. Mission Control has given the "go" for the upcoming rendezvous pitch maneuver. Another of the mid-course correction burns has been completed by the shuttle to fine-tune its path to the station. Endeavour is less than a mile away from the space station now. The rendezvous sequence is running about seven minutes behind the timeline, Mission Control says. Endeavour just completed the first in a series of available mid-course correction burns during this approach to the station. Distance between Endeavour and the space station is 7.8 miles, closing at about 5.25 mph. That closure rate will continue to decrease as the shuttle approaches the station. The shuttle has performed the Terminal Initiation burn using the left-side Orbital Maneuvering System engine. This puts the shuttle on a trajectory to directly intercept the orbiting station over the next orbit and a half. This burn is the latest in a series of maneuvers performed by Endeavour during its two days of chasing the station since launch Friday night. Docking is anticipated at 5:04 p.m. EST. Flight controllers have confirmed the shuttle's radar system is working normally and can be used for today's docking. The crew has activated the KU-band rendezvous radar and initial tests by mission control indicate it is working normally. There had been concerns it might experience problems because of some earlier difficulty with the radar's antenna system, which is also used for communications. Endeavour's crew completed a small maneuvering engine burn to tweak their course toward the station. The Terminal Initiation (TI) engine burn that begin the final approach is scheduled for 2:26 p.m. EST (1926 GMT), with docking due around 5 p.m. EST (2200 GMT). Our Spaceflight Now Plus subscribers can view a profile of the STS-126 crew in high definition. We have also posted replays of Friday's night launch in high definition. The crew of shuttle Endeavour just fired their Orbital Maneuvering System engines as they close in on the International Space Station. Check out our morning wakeup story. The Rolling Stones song "Start Me Up" was this morning's wakeup music played for station-bound astronaut Sandy Magnus. The shuttle is on course for docking to the space station around 5 p.m. EST today. This evening's story has been updated following the mission status briefing. The wing leading edge and nose cap inspections were completed today. 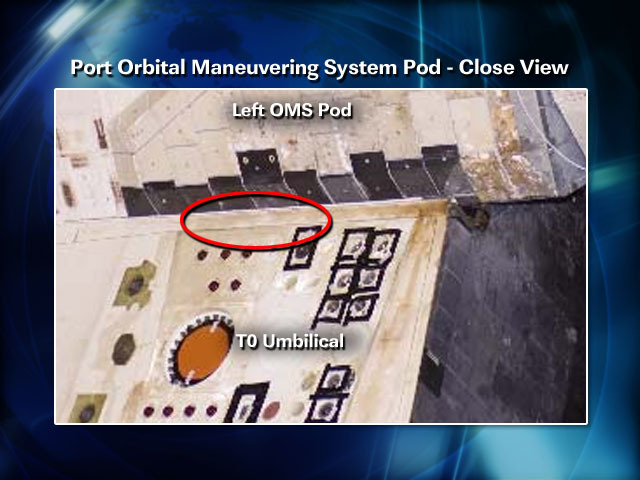 No serious problems were identified with Endeavour and imagery of the OMS pod area did not reveal any damage, but engineers on the ground will be examining the data to make sure the heat shield is safe for entry. Also today, the astronauts checked out the spacewalking suits to be worn during the planned EVAs. NASA says no issues were noted during the testing. The shuttle Endeavour is in good shape after its climb to space Friday and engineers are only working a handful of relatively minor problems, including a possibly lost strip of insulation and glitches with the shuttle's KU-band antenna, the chairman of NASA's Mission Management Team said today. After completing the nose cap survey, the crew has positioned the inspection boom to get a closeup look on the port side of Endeavour where a small piece thermal blanket could have been lost during launch. The left wing inspections are next up in this is a multi-hour job to survey the shuttle to look for any signs of launch damage. The precautionary safety inspection has become a standard activity for all post-Columbia shuttle crews. The small strip of thermal blanket that possibly peeled away from the side of Endeavour during launch is approximately 4 inches in width, 12-18 inches in length and 0.3 inches thick, Mission Management Team chairman LeRoy Cain says. That area of the shuttle does not experience high heating during entry, so there isn't a great deal of concern. Aboard the International Space Station the crew are getting ready for a practice session for the rendezvous pitch maneuver during tomorrow's docking with Endeavour. They will use digital cameras to photograph the underbelly of the orbiter to check it for any damage to the thermal tiles there. The maneuver was added to the docking procedures in the wake of the Columbia accident. The Orbiter Boom Sensor System has been positioned to begin an inspection of Endeavour's reinforced carbon-carbon nose cap as the astronauts continue their checkout of the shuttle's thermal protection system. Inspections of space shuttle Endeavour have gotten underway with scans of the starboard wing. Later today, the crew will be asked to photograph an area near the shuttle's left-side Orbital Maneuvering System pod where a small strip of flexible insulation might have pulled away during launch. The flexible reuseable surface insulation (FRSI) blankets cover areas on the shuttle where temperatures do not exeed 700 degrees Fahrenheit during re-entry. "Right where the left OMS meets the body of the orbiter, we think we may have lost, during ascent, a small strip of FRSI," astronaut Steve Robinson radioed earlier from Mission Control. "Today's a great time to image that area during the port (heat shield) survey. We're putting together a little delta to the robot arm procedures. At one of the pause points, we won't change the trajectory of the arm at all, one of the pause points is just perfect and we'll just take a minute there to ... take a look at that area." "OK, and that was where the left OMS meets the, did you say the vertical tail?" commander Chris Ferguson asked. "And we did send some pictures down yesterday of something that we saw. We weren't sure if it was ice or not, but I'm assuming you looked at those." "Yep, those images are being analyzed now," Robinson said. "It's right where the left OMS pod meets, you know, where the big T-0 umbilical goes into the orbiter? There's kind of a strip right at the interface between those two planes." "OK. I've got an idea where it is. Thanks." The shuttle's robot arm has grappled and unberthed the Orbiter Boom Sensor System for the upcoming scans of Endeavour's wings and nose. Previews of the inspections and today's other planned activities can be watched in our video service. Mission Control has awakened the astronauts with the song "Shelter" by Xavier Rudd to begin Flight Day 2, the crew's first full day in orbit. The song was played for commander Chris Ferguson at the request of his brother. Today will be spent inspecting Endeavour's heat shield for any signs of launch damage, checking out the spacesuits to be worn during the mission's spacewalks and preparing for tomorrow's docking to the space station. Endeavour's astronauts are heading to bed, having turned their spaceship from a rocket into an orbiting spacecraft following tonight's successful launch. They will enjoy an 8-hour sleep period before being awakened by Mission Control at 10:55 a.m. EST for Flight Day 2. Deployment of the shuttle's Ku-band communications antenna has been performed by the astronauts. The space shuttle Endeavour, carrying urine recycling gear, a new toilet, a galley and private crew quarters needed for a space station "home improvement" makeover, flashed to life and thundered into space today, lighting up the night sky for hundreds of miles around as it rocketed away. T+plus 1 hour, 33 minutes. Both 60-foot-long payload bay doors have been opened. And Mission Control just gave the astronauts a "go" for on-orbit operations following today's journey to space. T+plus 1 hour, 21 minutes. The astronauts have been given a "go" for payload bay door opening. T+plus 39 minutes, 40 seconds. The twin Orbital Maneuvering System engines on the tail of Endeavour have been fired successfully to propel the shuttle the rest of the way to orbit. The burn occurred over the Indian Ocean. T+plus 38 minutes, 45 seconds. The maneuvering engines have ignited for the orbit raising burn. The official liftoff time was 7:55:39.052 p.m. EST. T+plus 25 minutes. The two flapper doors on the belly of Endeavour are being commanded to swing shut to shield the umbilicals that had connected to the external fuel tank. T+plus 9 minutes, 25 seconds. It was a nominal MECO. A quick boost from the Orbital Maneuvering System engines is not required to reach the planned preliminary sub-orbital trajectory. T+plus 9 minutes, 20 seconds. Endeavour is 1,000 miles northeast of the launch pad at an altitude of 67 miles. T+plus 8 minutes, 46 seconds. The emptied external tank has been jettisoned from the belly of space shuttle Endeavour. The tank will fall back into the atmosphere where it will burn up harmlessly. T+plus 8 minutes, 35 seconds. MECO. Main Engine Cutoff confirmed! Endeavour has ascending into space carrying Italy's Leonardo module packed with hardware that will double the station's resident crew capacity from three to six people, including water recycling gear, a second toilet, a new kitchen, exercise equipment and two private bedrooms. T+plus 7 minutes, 20 seconds. Endeavour is 64 miles in altitude, 590 miles downrange from the launch pad, traveling at 13,000 mph. T+plus 7 minutes, 10 seconds. Single engine press 104. The shuttle can reach orbit on the power from a single main engine should two fail at this point. But all three continue to fire properly. T+plus 6 minutes, 22 seconds. "Press to MECO" Endeavour can now achieve a safe orbit on two engines. All three remain in good shape. T+plus 5 minutes, 25 seconds. "Press to ATO". Endeavour can reach an orbit, albeit a low orbit, on two engines should one shut down now. But all three powerplants are still running just fine. T+plus 5 minutes, 10 seconds. Endeavour is 66 miles in altitude, 245 miles downrange from the launch pad, traveling at 7,300 mph. T+plus 4 minutes, 30 seconds. Endeavour will be tripling its speed in the next four minutes to reach orbital velocity of 17,500 mph. T+plus 4 minutes. Negative return. The shuttle has passed the point where Endeavour could turn around and make an emergency landing at Kennedy Space Center in the event of a main engine problem. Landing sites in France and Spain are now available to Endeavour in the unlikely event an abort occurs during the remainder of today's launch. T+plus 3 minutes. Endeavour is 44 miles in altitude, 73 miles downrange from the launch pad, traveling at 4,000 mph. T+plus 2 minutes, 55 seconds. Commander Chris Ferguson just received the "Two-engine TAL" call from CAPCOM Alan Poindexter in Mission Control. The call means Endeavour can now reach a Transatlantic Abort Landing site if one main engine fails. However, all three engines continue to burn normally. T+plus 2 minutes, 45 seconds. The twin Orbital Maneuvering System engines on the ship's tail have ignited to provide an extra boost in thrust in addition to Endeavour's three main engines. T+plus 2 minutes, 25 seconds. Guidance is converging as programmed. Endeavour's engine nozzles are swiveling to steer the ship toward a precise point for main engine cutoff about six minutes from now. T+plus 2 minutes, 15 seconds. Mission Control confirms a good jettison of the solid rocket boosters has occurred. The spent boosters will parachute into the Atlantic Ocean for retrieval. Endeavour continues its nighttime streak toward space on the power generated by the three liquid-fueled main engines. T+plus 1 minute, 45 seconds. Standing by for burn out and separation of the solid rocket boosters. Commander Chris Ferguson and pilot Greg Johnson are joined on the flight deck by mission specialists Stephen Bowen and Don Pettit. Heidemarie Stefanyshyn-Piper, Shane Kimbrough and station-bound Sandy Magnus are seated down on the middeck. T+plus 70 seconds. Endeavour's three main engines have revved up to their 104 percent power setting. And Mission Control has given the "go at throttle up" call. T+plus 60 seconds. The space shuttle has turned night to day its ascends from the Kennedy Space Center. The twin solid rockets and three main engines already have pushed Endeavour's speed in excess of 1,000 miles per hour. T+plus 35 seconds. Endeavour's three liquid-fueled main engines are easing back to 72 percent throttle to reduce the aerodynamic stresses on the vehicle as it powers through the dense lower atmosphere and breaks the sound barrier. T+plus 20 seconds. Houston is now controlling the two-week-plus flight of Endeavour. The shuttle has completed its majestic roll maneuver to aim for the northeast trajectory downrange. T-minus 10 seconds, go for main engine start, 7, 6, 5, 4, engines up and running, 2, 1 and LIFTOFF! Liftoff of Endeavour on a home improvement mission for the international space station. And the shuttle has cleared the tower. T-minus 31 seconds. AUTO SEQUENCE START! The handoff has occurred from the Ground Launch Sequencer to the space shuttle. Endeavour's computers now controlling. Shortly, the external tank strut heaters will be turned off; Endeavour will transition to internal power; the liquid oxygen and liquid hydrogen outboard fill and drain valves will be closed; the payload bay vent doors will be positioned for the launch; and the gaseous oxygen vent arm will be verified fully retracted. T-minus 90 seconds. The launch of Endeavour is precisely timed for the shuttle to intercept the international space station for rendevous and docking on Sunday afternoon. At the time of liftoff, the station will be orbiting 212 miles over the South Pacific. Endeavour's power-producing fuel cells are transfering to internal reactants. The units will begin providing all electricity for the mission beginning at T-50 seconds. And pilot Eric Boe has been asked to clear the caution and warning memory system aboard Endeavour. He will verify no unexpected errors in the system. T-minus 3 minutes. Orbiter steering check is now complete; the main engine nozzles are in their start positions. T-minus 3 minutes, 30 seconds. The main engine nozzles now being moved through a computer controlled test pattern to demonstrate their readiness to support guidance control during launch today. And the final helium purge sequence is underway in the main propulsion system. This procedure readies fuel system valves for engine start. In the next few seconds, the aerosurfaces of Endeavour will be run through a pre-planned mobility test to ensure readiness for launch. This is also a dress rehearsal for flight of the orbiter's hydraulic systems. T-minus 5 minutes. The "go" has been given for for Auxiliary Power Unit start. Pilot Eric Boe is now flipping three switches in Endeavour's cockpit to start each of the three APU's. The units, located in the aft compartment of Endeavour, provide the pressure needed to power the hydraulic systems of the shuttle. The units will be used during the launch and landing phases of the mission for such events as moving the orbiter's aerosurfaces, gimbaling the main engine nozzles and deploying the landing gear. Over the course of the next minute, the orbiter's heaters will be configured for launch by commander Chris Ferguson, the fuel valve heaters on the main engines will be turned off in preparation for engine ignition at T-6.6 seconds and the external tank and solid rocket booster safe and arm devices will be armed. T-minus 7 minutes, 30 seconds. The Ground Launch Sequencer has started pulling the orbiter access arm away from the crew hatch on the port side of the vehicle. The arm was the passage way for the astronauts to board Endeavour a few hours ago. The arm can be re-extended very quickly should the need arise later in the countdown. T-minus 8 minutes and counting. Pilot Eric Boe has flipped the switches in the cockpit of Endeavour to directly connect the three onboard fuel cells with the essential power buses. Also, the stored program commands have been issued to the orbiter. T-minus 9 minutes and counting! The Ground Launch Sequencer has been initiated. The computer program is located in a console in the Firing Room of the Complex 39 Launch Control Center. The GLS is the master of events through liftoff. During the last 9 minutes of the countdown, the computer will monitor as many as a thousand different systems and measurements to ensure that they do not fall out of any pre-determine red-line limits. At T-minus 31 seconds, the GLS will hand off to the onboard computers of Endeavour to complete their own automatic sequence of events through the final half minute of the countdown. NASA launch director Mike Leinbach has conducted his poll and given approval to resume the countdown for liftoff at 7:55 p.m. this evening! It has been determined that the loose White Room door won't be a constraint to launch. The final readiness poll by the NASA test director Charlie Blackwell-Thompson was just performed. The Range reported "go" on the local weather. And Mission Control says that the abort landing site weather is acceptable, too. There is one issue being addressed. The Orbiter Closeout Crew did not engage the restraint holding one of the White Room doors. Officials are discussing whether this will be problem for launch. Six minutes are remaining in this built-in hold. Final readiness polls will be conducted over the next few minutes. Now 20 minutes from Endeavour's launch on an eight-and-a-half minute trek to space. At main engine cutoff, Endeavour will be flying on a suborbital trajectory with a high point of 136 statute miles and low point of 36 statute miles. A half-hour later, the twin orbital maneuvering engines will be fired to place the shuttle into a 142 by 121 mile orbit. "This countdown has been exceptionally clean and smooth. We have had no technical issues, the vehicle has been very clean, the countdown has been proceeding right on the timeline, all of the activities are right on the mark and that's the way we like it. The weather has been cooperating and we're looking forward to launch within the hour," said Pete Nickolenko, the STS-126 assistant launch director. The official launch window this evening opens at 7:55:39 p.m. and closes at 8:00:18 p.m. EST. Weather continues to be acceptable for the launch both here at the Kennedy Space Center and the three primary abort landing sites across the Atlantic in Spain and France. T-minus 9 minutes and holding. Countdown clocks have gone into the planned 45-minute, 39-second built-in hold. Today's launch remains set for 7:55:39 p.m. EST. Mission Control in Houston has loaded Endeavour's onboard computers with the proper guidance parameters based on the projected launch time. The Main Propulsion System helium system is being reconfigured by pilot Eric Boe. Soon the gaseous nitrogen purge to the aft skirts of the solid rocket boosters will be started. Now one hour away from launch of Endeavour. Pilot Eric Boe is configuring the displays inside Endeavour's cockpit for launch while commander Chris Ferguson enables the abort steering instrumentation. T-minus 20 minutes and counting. The countdown has resumed after a 10-minute hold. Clocks will tick down for the next 11 minutes to T-minus 9 minutes where the final planned hold is scheduled to occur. The hold length will be adjusted to synch up with today's preferred launch time of 7:55:39 p.m.
NASA says there are no constraints to launch being assessed by mission managers and ground engineers. Endeavour's onboard computers are now transitioning to the Major Mode-101 program, the primary ascent software. Also, engineers are dumping the Primary Avionics Software System (PASS) onboard computers. The data that is dumped from each of PASS computers is compared to verify that the proper software is loaded aboard for launch. T-minus 20 minutes and holding. The countdown has paused for a 10-minute built-in hold. Launch is scheduled for 7:55 p.m. EST. The shuttle remains in good shape and weather continues to be "go" for this evening's launch. A short time ago, commander Chris Ferguson pressurized the gaseous nitrogen system for Endeavour's Orbital Maneuvering System engines and pilot Eric Boe activated the gaseous nitrogen supply for the orbiter's Auxiliary Power Units' water spray boilers. With Endeavour's hatch closed and cabin pressure checks complete, the Orbiter Closeout Crew is removing the platforms and stowing equipment in the White Room prior to their departure from the pad. The ground pyro initiator controllers (PICs) are scheduled to be powered up around this time in the countdown. They are used to fire the solid rocket hold-down posts, liquid oxygen and liquid hydrogen tail service mast and external tank vent arm system pyros at liftoff and the space shuttle main engine hydrogen gas burn system prior to engine ignition. Spaceflight Now+Plus users can watch high-definition video of the astronauts suiting up this afternoon here. If you're not yet a subscriber, more information can be found here. Now passing the T-minus 45 minute mark in the countdown. Two scheduled holds are planned at T-minus 20 minutes and T-minus 9 minutes, leading to the target liftoff time of 7:55:39 p.m. EST. Engineers are troubleshooting what would appear to be minor glitch with a computer used in processing high-altitude wind data from weather balloons. Otherwise, the countdown is rolling onward. 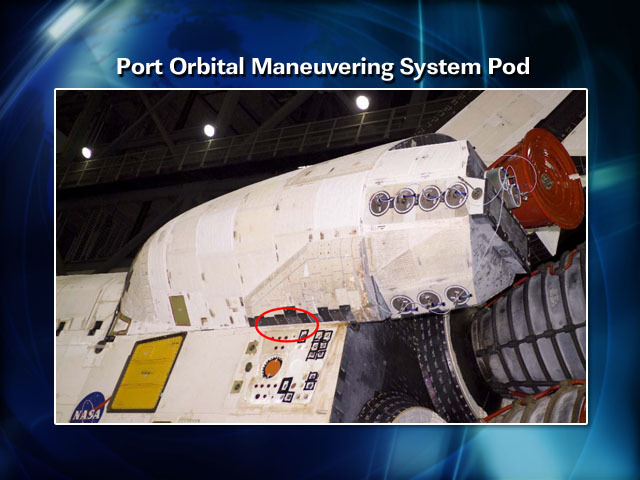 The shuttle's crew compartment hatch is confirmed to be closed and latched for flight. The final pre-flight alignment of Endeavour's guidance system inertial measurement units gets underway at this point in the countdown. Now two hours until liftoff. Endeavour's crew module hatch has just swung shut for launch. The latest update from the launch weather team predicts an 80 percent chance of acceptable conditions for this evening's liftoff, an improvement from the 70 percent odds given earlier. The forecast calls for scattered clouds and a slight chance of showers in the vicinity. T-minus 90 minutes and counting. Countdown clocks continue to tick down to T-minus 20 minutes where the next hold is planned. Countdown activities remain on track for liftoff at 7:55 p.m. There are no technical issues being worked and weather continues to be acceptable. At this point in the count, the Ground Launch Sequencer software that will control the final nine minutes of the countdown has been initialized. Also, the solid rocket boosters' gas generator heaters in the hydraulic power units are turned on, the aft skirt gaseous nitrogen purge is starting and the rate gyro assemblies (RGAs) are being activated. The RGAs are used by the orbiter's navigation system to determine rates of motion of the boosters during the first stage of flight. Stephen Bowen, a submarine officer and Navy captain born in Massachusetts, is the shuttle's flight engineer, mission specialist No. 2 and one of the spacewalkers during EVAs 1, 3 and 4. Bowen just became the seventh and final crewmember to board Endeavour. He will ride into space for the first time of his career in the flight deck's aft-center seat. Don Pettit of Oregon, a former resident aboard the station who was the Expedition 6 science officer six years ago, serves as Endeavour's mission specialist No. 3. He will be in charge of transferring the tons of equipment and supplies into the space station from the Leonardo logistics module carried aloft aboard the shuttle. He is climbing to the flight deck's aft-right seat now. Shane Kimbrough, a lieutenant colonel and helicopter pilot in the Army, was born in Texas. He will serve as mission specialist No. 4 and perform EVAs 2 and 4, while Endeavour is docked to the space station. The shuttle rookie is ingressing Endeavour's crew module to take the center seat on the middeck. Three hours and counting until liftoff time. Heidemarie Stefanyshyn-Piper of Minnesota, a Navy captain experienced in diving and salvage operations, is the spacewalk leader for Endeavour's flight. As mission specialist No. 1, she will be going outside the space station during EVAs 1, 2 and 3. During her one previous shuttle flight -- STS-115 in 2006 -- she conducted spacewalks that installed one of the power trusses on the space station. She just just entered the orbiter to take the middeck's left seat. Eric Boe, who grew up in Atlanta and became an Air Force colonel with combat and flight test credentials, will be Endeavour's pilot. This spaceflight rookie is making his way to the flight deck's front-right seat right now. Sandy Magnus, an Illinois native with a doctorate in material science and engineering, launches aboard Endeavour as mission specialist No. 5. Once at the space station, she will join the Expedition 18 crew and replace astronaut Greg Chamitoff as flight engineer and science officer. Chamitoff will return to Earth on the shuttle to conclude nearly six months in space. Magnus just crawled through Endeavour's hatch to take the middeck's right-side seat. Shuttle commander Chris Ferguson, a 47-year-old Navy captain born in Philadelphia, leads this 15-day flight of Endeavour. It will be his second spaceflight after serving as pilot on Atlantis' STS-115 mission in 2006. He is the first astronaut to board the shuttle today, taking the forward-left seat on the flight deck. After taking a couple moments to gaze up at the space shuttle from the surface of pad 39A, the crew has gone up the elevator now. Endeavour's crew arrived at launch pad 39A at 4:21 p.m. The AstroVan came to a stop on the pad surface near the Fixed Service Structure tower elevator that will take the seven-man crew to the 195-foot level to begin boarding the shuttle. The AstroVan is passing the 52-story Vehicle Assembly Building where Endeavour was attached to its external tank and solid rocket boosters and the adjacent Launch Control Center. The Press Site is located across the street, and reporters went outside to watch at the passing convoy. This is a launch day tradition to say farewell and good luck to the astronaut crews. Commander Chris Ferguson, pilot Eric Boe and mission specialists Stephen Bowen, Shane Kimbrough, Heidemarie Stefanyshyn-Piper, Don Pettit and station-bound astronaut Sandy Magnus have departed the Kennedy Space Center crew quarters to board the AstroVan for the 20-minute ride from the Industrial Area to launch pad 39A on the edge of the Atlantic Ocean. T-minus 3 hours and counting. The countdown clocks are ticking again after the planned two-and-a-half hour built-in hold. Clocks will proceed to T-minus 20 minutes when the next hold is scheduled. A final hold occurs at the T-minus 9 minute mark to synch up with the 7:55 p.m. EST launch time. The crew has donned the day-glow orange launch and entry partial pressure spacesuits. After final adjustments and pressure checks, the astronauts will depart the suitup room and take the elevator down to the ground level of the Operations and Checkout Building to board the AstroVan for the trip to launch pad 39A around 4:05 p.m. Commander Chris Ferguson, pilot Eric Boe and flight engineer Stephen Bowen are receiving a weather briefing on expected conditions at the Kennedy Space Center and the primary abort landing sites. The local weather around the Florida spaceport is looking beautiful. Meanwhile, the rest of the crew is moving into the suitup room to start donning their suits. Schedules call for the seven astronauts to depart crew quarters at 4:05 p.m. for the trip out to the launch pad for boarding the shuttle. Endeavour's three-day launch countdown is entering the final five hours now. The latest revision of this evening's precise liftoff time is 7:55:39 p.m. EST. That's roughly the moment Earth's rotation carries the launch pad into the plane of the space station's orbit. The launch time is is repeatedly tweaked based on orbital tracking of the station. NASA says everything is continuing to progress well in the countdown for the 7:55 p.m. EST launch of Endeavour. The launch team is not working any issues of significance and the weather forecast still predicts a 70 percent chance of acceptable conditions for the liftoff. The Final Inspection Team is performing its observations of Endeavour this afternoon. The team is responsible for checking the shuttle and launch pad one last time prior to liftoff. The team is comprised of engineers and safety officials from NASA, United Space Alliance and tank-builder Lockheed Martin. At the conclusion of their two-hour tour-of-duty, the team will have walked up and down the entire fixed service structure and mobile launcher platform. The team uses a portable infrared scanner that gathers temperature measurements on the surface area of the shuttle and can spot leaks. The scanner will be used to obtain temperature data on the external tank, solid rocket boosters, space shuttle orbiter, main engines and launch pad structures. The scanner can also spot leaks of the cryogenic propellants, and due to its ability to detect distinct temperature differences, can spot any dangerous hydrogen fuel that is burning. The team member also is responsible for photo documentation. FUELING COMPLETED. The external fuel tank has been pumped full with a half-million gallons of supercold liquid oxygen and liquid hydrogen. The three-hour fueling process started at 10:40 a.m. with the chilldown conditioning and was completed at 1:31 p.m. But given the cryogenic nature of the oxidizer and propellant, the supplies naturally boil away. So the tanks are continuously topped off until the final minutes of the countdown in a procedure called "stable replenishment." With the hazardous tanking operation completed, the Orbiter Closeout Crew and Final Inspection Team have been given the OK to go out to the pad to perform their jobs. The closeout crew will ready Endeavour's crew module for the astronauts' ingress in a couple of hours; and the inspection team will give the entire vehicle a check for any ice formation following fueling. T-minus 3 hours and holding. Clocks have entered the next planned hold. This pause will last two-and-a-half hours as part of the countdown sequence continues toward the 7:55 p.m. EST launch time today. Under blue skies, the three-hour loading of the external tank at launch pad 39A is in the final phases now. NASA should be calling the tank fully loaded in the next few minutes. The liquid hydrogen low-level engine cutoff sensors in the bottom of the external tank did undergo initial testing after they were submerged by propellant during the first hour of fueling. The launch team sent commands to test the health of the sensors and a NASA spokesman says the expected readings were received from the sensors, indicating all four are working properly. The sensors were a source of headaches over the past couple of years. Filling of the space shuttle's external fuel tank takes about three hours to complete, and keeping the tank fully loaded continues until just minutes before liftoff time. The process starts with the chilldown thermal conditioning of the system, followed by a slow-fill mode and then the fast-fill mode. The tank then enters a stable replenishment mode that ensures the liquid hydrogen and liquid oxygen supplies are topped off through the final minutes of the countdown. The cryogenics are pumped from storage spheres at the pad, through feed lines to the mobile launcher platform, into Endeavour's aft compartment and finally into the external fuel tank. FUELING UNDERWAY. The filling of space shuttle Endeavour's external fuel tank with a half-million gallons of supercold propellants has begun at pad 39A as this exceptionally smooth countdown continues toward launch. The tanking operation commenced with the chilldown thermal conditioning process at 10:40 a.m. EST. The Mission Management Team has given a "go" to begin fueling space shuttle Endeavour for this evening's launch, a NASA spokeswoman says. Engineers in Firing Room 4 will start the three-hour fueling process shortly. The coundown has just resumed ticking after the two-hour planned hold at the T-minus 6 hour mark. The next scheduled hold occurs at T-minus 3 hours. Liftoff remains targeted for 7:55 p.m. EST. The weather forecast for tonight's launch remains favorable with a 70 percent chance of acceptable conditions for the 7:55 p.m. EST liftoff time. "A cold front is pushing eastward into the Florida panhandle. It is forecast to move through central Florida Saturday evening. Before this cold front arrives, a warm, moist air mass will remain over Florida, and this along with southeast flow over Kennedy Space Center (KSC) causes concerns for showers in the area near launch time. The primary concerns for launch are showers within 20 nautical miles of the Shuttle Landing Facility (SLF) and cumulus clouds," the weather team reported this morning. The launch time outlook calls for scattered cumulus clouds at 3,000 feet, scattered altocumulus clouds at 8,000 feet and broken cirrus clouds at 20,000 feet, good visibility, southeasterly winds from 150 degrees at 12 peaking to 17 knots and a temperature of 74 degrees F.
Should the launch be delayed for any reason, the odds of good weather on Saturday fall to just 30 percent because of low clouds and rain. The forecast for Sunday night is 80 percent "go." The rotating service structure just moved away from the space shuttle, revealing Endeavour at pad 39A ahead of Friday's 7:55 p.m. EST launch. Work overnight will include activating the orbiter's inertial measurement units and power-generating fuel cells, plus checking all of the switches in Endeavour's cockpit to ensure they are in the correct positions for launch. At 3:30 a.m. EST, countdown clocks will resume ticking following the half-day hold at the T-minus 11 hour mark. The count will proceed down to the T-minus 6 hour point where a two-hour begins at 8:30 a.m. EST. During that pause, the launch team will verify all systems are ready to begin loading a half-million gallons of supercold rocket fuel in the shuttle's external tank. The three-hour fueling process is scheduled to commence at 10:30 a.m. EST, pending a final "go" from the Mission Management Team's morning meeting to review the status of the count and the latest weather outlook. The seven astronauts will be awakened at 11 a.m. to begin their launch day routine, leading to suitup shortly before 3:30 p.m., departure from crew quarters at 4:05 p.m. and arrival at the launch pad around 4:30 p.m. to start strapping aboard the shuttle. Endeavour's crew module hatch is scheduled to be closed for flight at about 6 p.m.
Read our complete mission preview story. Space shuttle Endeavour's fuel cell storage tanks were successfully filled with the liquid hydrogen and liquid oxygen reactants overnight as standard work continues at pad 39A for Friday's scheduled 7:55 p.m. EST liftoff. "I have no issues to report," said Charlie Blackwell-Thompson, the STS-126 NASA test director. "Endeavour is ready to go." The cryogenics were pumped into storage spheres located beneath the payload bay and then the pad umbilical system used in the loading process was demated from the orbiter. The fuel cells use cryogenic reactants to generate power and drinking water during the shuttle's mission. Today's planned activities include final tests of the three main engines, functional checks of the orbiter's star trackers, activating the inertial measurement units, thoroughly testing the communications network, loading the last items into the crew module, filling of the launch pad's sound suppression system water tank and installing film in pad cameras. Countdown clocks will enter the lengthy T-minus 11 hour planned hold period at 2 p.m. EST. The built-in hold will last 13 hours and 30 minutes. The giant gantry-like rotating service structure is scheduled for retracting from around Endeavour at 11:30 p.m., marking a key milestone to ready the shuttle and launch pad for Friday morning's fueling of the external tank. The odds of weather stopping the Endeavour launch on Friday evening have dropped to just 30 percent. But the outlook for Saturday's backup launch opportunity has worsened to 70 percent due to the timing of a cold front passage over Central Florida, Air Force meteorologists said today. "A cold front will linger in the Western Gulf of Mexico today. On Friday, an upper level trough will deepen in the Central U.S. and, by Saturday, will move into the Eastern U.S. This will push the cold front eastward, causing it to move through Florida Saturday evening," forecasters said. "Before this cold front arrives, a warm, moist air mass will remain over Florida, and this along with southeast flow over Kennedy Space Center (KSC) causes concerns for showers in the area near launch time. "Still, with more confidence in the timing of the front, our probability of KSC weather prohibiting launch decreased to 30 percent on launch day, and increased to 70 percent for the 24-hour delay forecast. The 48-hour delay forecast decreased to 20 percent. "Our primary concerns for launch are showers within 20 nautical miles of the Shuttle Landing Facility (SLF) and cumulus clouds." The launch time forecast on Friday predicts scattered clouds at 3,000 and 8,000 feet and a broken deck of cirrus at 20,000 feet, isolated showers in the vicinity, 7 miles of visibility, a temperature of 74 degrees F and southeasterly winds from 150 degrees at 12 gusting to 17 knots. The outlook for Saturday evening, if the launch is rescheduled, calls for a 70 percent chance of "no go" weather due to showers within 20 miles and a low cloud ceiling. Sunday evening is much better, with only a 20 percent chance of low clouds. The shuttle Endeavour's countdown began on time Tuesday night and with no technical issues of any significance, NASA's Mission Management Team today cleared the spacecraft for launch Friday on a critical space station assembly and maintenance mission. Liftoff is targeted for 7:55:34 p.m. Friday and forecasters continue to predict a 60 percent chance of acceptable weather. The Mission Management Team gathered this morning for the Launch Minus-2 Day meeting to assess the progress of recent work to ready Endeavour for flight and any lingering topics for debate. The team concluded the meeting by giving approval to continue with the countdown for Friday's launch. "At the end of the discussion, we determined we don't have any open issues, no open work, no open constraints," said LeRoy Cain, chairman of the MMT. "Endeavour's ready, the crew's ready and the Mission Management Team gave a 'go' for proceeding." The tightly scripted countdown sequence, which began Tuesday night, has been proceeding smoothly. The first in a series of planned built-in holds occurs later today at the T-minus 27 hour point. This four-hour hold stretches from 2 to 6 p.m. EST, and serves as a block of time to catch up on work that could be running behind schedule or deal with problems. During the planned hold, checks of the shuttle's pyrotechnic controllers will be conducted. And then the rest of the evening will be spent loading the orbiter's three electricity-generating fuel cells with their liquid hydrogen and liquid oxygen reactants. Air Force weather forecasters are reporting this morning that their Endeavour launch forecast remains pretty much unchanged. There continues to be the 40 percent chance that clouds and rain showers will violate the weather rules and keep the shuttle from launching on time Friday evening. "Currently high pressure is located over the Northeast U.S., and a cold front is moving through Texas. Northeast wind and morning isolated coastal showers are affecting the Space Coast. By the end of the week, the cold front in Texas will move into the Southeast U.S., increasing the chance for showers at Kennedy Space Center. The front will move through the area on Saturday, causing low clouds to develop. The timing of the front is still the critical factor in the forecast as we approach launch day," forecasters said. The launch time forecast predicts scattered clouds at 3,000 feet, scattered to broken clouds at 8,000 feet and another broken deck at 20,000 feet, showers in the vicinity, 7 miles of visibility, a temperature of 74 degrees F and south-southeasterly winds from 170 degrees at 12 gusting to 17 knots. The outlook for Saturday evening, if the launch is rescheduled, calls for a 60 percent chance of "no go" weather due to showers within 20 miles and a low cloud ceiling. Sunday evening is better, with only a 30 percent chance of low clouds. A collection of photos taken during the crew arrival is posted here. COUNT BEGINS. Inside Firing Room 4 of Kennedy Space Center's Launch Control Center, countdown clocks have started ticking toward the liftoff of space shuttle Endeavour. Launch team members gathered for the "call to stations" at 9:30 p.m. EST, and then the three-day countdown commenced at 10 p.m. as scheduled. Clocks read T-minus 43 hours and counting. But a series of holds are timed throughout the next few days, leading to Friday's targeted liftoff time of 7:55 p.m. EST. The early portion of the count involves buttoning up launch pad equipment and removing platforms inside the shuttle's crew module, reviewing flight software stored in Endeavour's mass memory units, loading backup software into the general purpose computers and testing navigation systems. "Thanks for coming out on this beautiful afternoon in Florida," commander Chris Ferguson told reporters gathered at the runway to cover the crew's arrival. "We're all very, very happy to be here," said Heidemarie Stefanyshyn-Piper, the mission's lead spacewalker. "Prior to touching down, we all took a little side trip and swung around the orbiter. It looks good on the pad, and we're very excited about getting up on orbit." Endeavour's seven astronauts have safely arrived at the Kennedy Space Center to begin their launch week routine leading up to Friday evening's blastoff. All five T-38 training jets were on the ground by 3:55 p.m., taxiing down the three-mile-long shuttle runway and onto the parking ramp. Commander Chris Ferguson and perhaps other members of the crew will be making a brief statement to reporters shortly. Check back in a little while for photos and video of the crew's arrival. Three of the T-38s buzzed over the Shuttle Landing Facility a few minutes ago, followed by the other two aircraft. The astronauts are making a pass above pad 39A before landing. NASA now says the astronauts will be arriving between 3:45 and 4:15 p.m. Flying aboard five sleek T-38 jets, the Endeavour astronauts have departed Ellington Field near the Johnson Space Center in Houston for this afternoon's journey to the launch site. The crew is runing ahead of schedule and are now expected to arrive around 3:20 p.m. EST at Kennedy Space Center's Shuttle Landing Facility runway. The shuttle Endeavour is on track for launch Friday evening, weather permitting, to kick off a space station resupply and servicing mission, the fourth and final shuttle flight this year. Liftoff is targeted for 7:55:34 p.m. EST Friday, with forecasters predicting a 60 percent chance of acceptable weather. The seven astronauts who will rocket into space aboard the shuttle Endeavour arrive at the Florida spaceport this afternoon, just hours before the countdown clocks begin ticking toward Friday's planned 7:55 p.m. EST launch. After spending the past few days in pre-flight quarentine at their home base in Houston, commander Chris Ferguson, pilot Eric Boe, mission specialists Stephen Bowen, Shane Kimbrough, Heidemarie Stefanyshyn-Piper, Don Pettit and station-bound astronaut Sandy Magnus will fly over to the Cape for an anticipated 4 p.m. EST touchdown at Kennedy Space Center. Meanwhile, engineers in Firing Room 4 of the Launch Control Center are preparing to start the three-day countdown sequence at 10 p.m. EST. "Launch preparations are going very well," said NASA Test Director Jeff Spaulding. "Our systems are in great shape, we are tracking no issues at this point and our teams are prepared and all of us are ready to pick up with the launch countdown tonight." The early weather forecast is predicting a 40 percent chance of thick clouds and showers that would prevent Endeavour from launching on Friday evening. "Currently high pressure is located over the Great Lakes Region, and a cold front is moving through the Central U.S. The high pressure to the north and a low pressure area in the Bahamas is causing northeast winds at Kennedy Space Center bringing a chance for isolated morning coastal showers through the next few days," Air Force weather forecasters reported today. "By the end of the week, the cold front in the Central U.S. will move into the Southeast U.S., increasing the chance for showers at KSC. The front will move through the area on Saturday, causing low clouds to develop. The timing of the front will be a critical factor in the forecast as we approach launch day. Our primary concerns for launch are showers within 20 nautical miles of the Shuttle Landing Facility and thick clouds." The launch time forecast predicts scattered clouds at 3,000 feet, scattered to broken clouds at 8,000 feet and another broken deck at 20,000 feet, isolated showers in the vicinity, 7 miles of visibility, a temperature of 70 degrees F and south-southwesterly winds from 200 degrees at 12 gusting to 17 knots. Should the launch slip to Saturday, there's a 60 percent chance of "no go" weather conditions because of the possibility for showers within 20 miles and a low cloud ceiling. The outlook improves on Sunday, with only a 30 percent chance of low clouds. NASA managers today cleared the shuttle Endeavour for launch Nov. 14 on a space station assembly and servicing mission. But work to test a component needed by the Hubble Space Telescope will not be finished in time for launch aboard the shuttle Atlantis in February, delaying the long-awaited flight to May at the earliest. The Flight Readiness Review has concluded and NASA officials have approved plans to launch space shuttle Endeavour on its logistics-delivery mission November 14 at 7:55 p.m. EDT. The traditional meeting held before every shuttle mission assesses the readiness of elements supporting the program, reviews the progress of pre-flight work, debates technical issues and then establishes the formal launch date. Endeavour's seven-person crew climbed aboard the space shuttle at launch pad 39A this morning for a simulated countdown with ground controllers. The Astrovan delivered the astronauts to the pad around 8 a.m. EDT to begin entering Endeavour and taking their assigned seats just like the real countdown in a few weeks. Clocks ticked down to the final seconds before ending with a mock shutdown for the ship's main engines around 11 a.m. EDT. "The training really is very important," said pilot Eric Boe, one of the crew's rookies. "For three of us, actually, (it's) the first chance to get on the vehicle while it's on the pad." The three-day Terminal Countdown Demonstration Test wrapped up with the suited astronauts quickly exiting the shuttle as part of emergency procedure training. A collection of photos is posted here. Earlier this week, the crew test-drove the armored tank that would be used to evacuate the pad in a dire situation. "Something we never hope to do for real, but we got that training," said mission specialist Shane Kimbrough. The crew will fly back to Houston later today to finish their pre-flight training there. Meanwhile, senior officials holding the Flight Readiness Review will set the official launch date for Endeavour's 15-day space station mission at the conclusion of their meeting on Thursday. NASA plans a 6 p.m. EDT news conference from Kennedy Space Center to announce the launch plans. For now, Endeavour remains targeted for liftoff at 7:55 p.m. EDT on November 14. A countdown dress rehearsal and emergency training drills are underway at Kennedy Space Center this week to prepare for shuttle Endeavour's scheduled November 14 launch on an equipment-delivery mission to the space station. Led by commander Christopher Ferguson, the Endeavour crew of pilot Eric Boe, mission specialists Stephen Bowen, Shane Kimbrough, Heidemarie Stefanyshyn-Piper, Don Pettit and station-bound astronaut Sandy Magnus arrived at the Cape on Sunday afternoon. Endeavour will carry an Italian-built reusable logistics module packed with critical gear needed to enlarge the station's resident crew size from three to six people, including additional crew quarters, a second treadmill and equipment for the regenerative life support system. During the 15-day mission, Magnus will move aboard the station to replace Expedition flight engineer Greg Chamitoff. He will return to Earth on Endeavour after more than five months living on the station. The crew came to Florida for the Terminal Countdown Demonstration Test, or TCDT. Every shuttle crew undergoes this multi-day training exercise in the final weeks before a planned launch. The astronauts will spend time learning how to evacuate pad 39A if an emergency arises, including procedures to operate the slide-wire baskets that would quickly whisk the crew from the launch tower to a bunker west of the pad, and test-drive an armored tank available for the astronauts to escape the area. Other activities on their schedule this week include flying landing approaches in the Shuttle Training Aircraft, trying on spacesuits and holding an informal chat with the news media at the pad. The TCDT culminates Wednesday when the crew boards Endeavour for a full countdown simulation. The astronauts will follow a normal launch morning routine with breakfast, a weather briefing on conditions at the Cape and various abort landing sites, then don their suits and depart crew quarters at about 7:45 a.m. to board the Astrovan that will take them to pad 39A. After arriving shortly past 8 a.m., all seven astronauts will climb inside Endeavour and strap into their assigned seats for the final three hours of the mock countdown. For the countdown, the shuttle won't be fueled and the crew won't actually leave the tower in the baskets. Once the countdown is completed, the crew will return home to Houston for the final weeks of training there. The mobile launch platform was lowered onto the pad pedestals at 4:37 p.m. EDT, marking the official time for Endeavour's arrival at pad 39A. The mobile launch platform has arrived overtop the pad pedestals. During the next hour, hydraulics will lower the shuttle onto the pad mounts, formally concluding the rollaround. Endeavour has passed through the gate at pad 39A and started the climb up the ramp. The shuttle is en route to pad 39A now. The transporter cruised to the split in the rock-covered crawlerway -- the fork in the road between the two pads. But it was there that the crawler experienced an extended hold to cool down a bearing. The rollaround just resumed and Endeavour is bound for its launch pad. Endeavour traveled down the pad's incline and out the 39B perimeter fence. And now the crawler-transporter is in motion again. After inching forward a little bit, the crawler has stopped. ROLLAROUND BEGINS. For just the third time in space shuttle program history, an orbiter is being transferred from one launch pad to the other. The crawler-transporter hauling the mobile launch platform and shuttle Endeavour started driving away from the pad 39B pedestals at about 8:27 a.m. EDT. Over the next several hours, Endeavour will travel down the crawlerway from pad 39B to the fork in the road and then head toward pad 39A. Pad 39B is no longer capable of a standard shuttle preparation campaign, including installation of the mission cargo into the orbiter's payload bay. Pad 39A is now considered the primary shuttle launch pad, so Endeavour is heading over there for the upcoming STS-126 mission. The two earlier times a shuttle has switched pads were Columbia's STS-35 flight in 1990 and Endeavour's STS-61 flight in 1993. Hydraulics on the transporter are jacking up the mobile launcher platform now, lifting the massive structure off of the launch pad pedestals for today's trek. It appears as if the move will begin very soon. A NASA spokesperson says it could be another hour before the rollaround begins. Under overcast skies, ground crews are finishing preparations to begin moving the space shuttle away from pad 39B. NASA says the crawler should start rolling shortly. Shuttle managers are receiving a weather briefing as they prepare to move shuttle Endeavour from one pad to the other. Good morning from the Kennedy Space Center where NASA is preparing to move space shuttle Endeavour from pad B to pad A for its launch next month on a mission to the International Space Station. First motion remains scheduled for 8 a.m., according to a NASA spokesman. At launch complex 39A, the payload canister is being lowered from the rotating service structure after the cargo destined for the space station was moved into the pad changeout room. The canister must clear the pad area for today's rollaround of shuttle Endeavour. Space shuttle Endeavour will switch launch pads at the Kennedy Space Center on Thursday, performing a "rollaround" in preparation for its November 14 ascent to the international space station. Endeavour was positioned atop pad 39B on September 19 to serve as a standby rescue vehicle during shuttle Atlantis' servicing mission to the Hubble Space Telescope that would have launched from pad 39A in mid-October. But the Atlantis flight has been put off until next year due to equipment troubles aboard Hubble, and NASA has decided to press ahead with Endeavour's originally scheduled station trip. Atlantis was hauled away from pad 39A on Monday and placed into storage within the 52-story Vehicle Assembly Building until next year. That rollback cleared the way for Endeavour's transfer from the northern pad to the southern one at Complex 39. Pad 39B is undergoing modifications to support the Ares 1X rocket test flight in 2009, the vehicle that will replace the space shuttle in the next decade. Although the pad can support an emergency shuttle launch, that modification work has removed the ability to handle installation of the mission payload for a standard shuttle flight. And so Endeavour will head over to pad 39A beginning as early as 8 a.m. EDT (1200 GMT) on Thursday. The payloads to launch aboard Endeavour, including the large Italian-made cargo module, were delivered to the pad on Wednesday morning and placed within the cleanroom of the rotating service gantry to await the shuttle's arrival. NASA was targeting a Saturday rollaround of Endeavour. However, a poor weather outlook for the weekend prompted managers to speed up the schedule. A test of Endeavour's hydraulics, which included running the Auxiliary Power Unit system, was completed Friday night. The Rotating Service Structure was placed around the shuttle shortly before 10 a.m. EDT today. For a few hours this morning, the gantries for both Endeavour at launch pad 39B and Atlantis at pad 39A were open to reveal both orbiters. It was perhaps only the third time in shuttle history that two shuttles were fully visible simultaneously, including September 1990 and August 1994. You can keep up with Atlantis activities in our separate STS-125 status center here. Following through on its extraordinary plan to have a quick-response space shuttle poised to launch if the Atlantis crew needs rescuing during next month's Hubble Space Telescope servicing mission, NASA rolled sistership Endeavour to the other Kennedy Space Center pad overnight. Currently targeted for launch October 10, Atlantis and her crew of seven astronauts will fly an 11-day mission featuring five spacewalks to install a pair of new scientific instruments into Hubble, attempt ambitious repairs on two failed instruments, replace the observatory's original 18-year-old batteries, plus exchange other internal components. The work is supposed to keep the telescope working into the next decade. NASA originally scrapped plans for this fifth and final servicing in the wake of the shuttle Columbia tragedy due to safety concerns. The space agency later reversed the decision and drew up rescue plans in case Atlantis suffers damage during its ascent to Hubble. Since the shuttle doesn't have the capability of reaching a safe haven at the international space station from Hubble's orbit to await rescue, Endeavour will be set to launch within days of an emergency being declared. The odds of actually needing Endeavour to rescue a stranded crew aboard Atlantis are low, but shuttle leaders say having a second shuttle standing by was prudent. "I don't think anybody expects us having to do this (rescue). But if some unknown occurs, some low probability thing, we have it ready and we're prepared to go off and do it," said lead Atlantis flight director Tony Ceccacci. If a problem with Atlantis is found soon after it is launched and engineers determine the shuttle couldn't safely re-enter the atmosphere for landing, the crew could take drastic steps to conserve power and supplies. That scenario would give the astronauts about 25 days to await Endeavour's arrival. Endeavour would rendezvous with Atlantis about 23 hours after launch, coming within reach of the ship's robot arm that will firmly link the two craft together. Three spacewalks conducted over two days would allow the Atlantis crew to transfer to Endeavour. However, if damage is spotted late in the mission during a round of planned inspections after the Hubble servicing is completed to check for micrometeoroid or space debris hits, known in NASA-speak as MMOD, agency officials would have decide if the crew could make quick repairs or whether to send up Endeavour in only the handful of days left before Atlantis' power runs out. "We have worked very hard to develop repair capabilities for micrometeoroid/orbital debris damage. We've got plugs that we can put into the reinforced carbon-carbon, we've got non-oxide adhesive we can put over any cracks or any kind of holes. 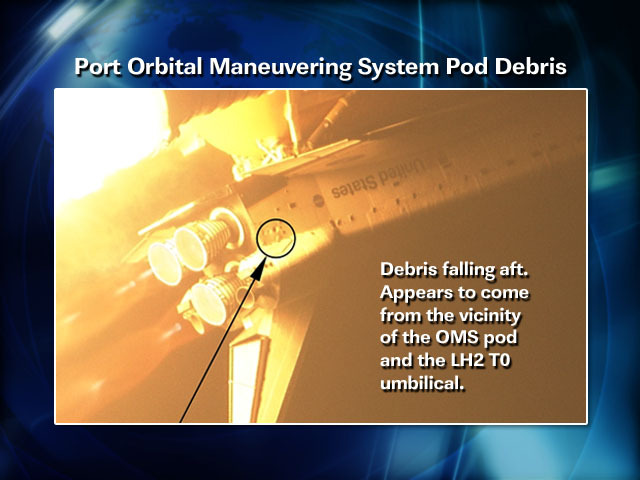 I think (the rescue) is there more for an ascent debris kind of situation, some kind of really gross ascent problem like we had on Columbia," said shuttle program manager John Shannon. "It would take a very rare and very significant large-size damage from MMOD in a critical area to cause us to have to consider (flying Endeavour)." Assuming Endeavour's role as a rescue ship isn't needed, the shuttle will be moved to pad 39A in mid-October to be prepped for a supply-delivery mission to the space station. That launch is targeted for November 12. "From a cost standpoint, this is not costing us a great deal because this is not some unique thing just to the Hubble mission. We are going to use that stack, that vehicle (Endeavour), roll it to pad A and go launch it on a mission," Shannon said. The mobile launch platform was lowered onto the pad pedestals at 6:59 a.m. EDT, marking the official time for Endeavour's arrival at pad 39B. In the next few hours and days, the methodical process of hooking up the crew module assess and hydrogen vent arms extending from the launch tower, as well as electrical, propellant, communications and other lines between the ground systems and mobile launch platform will begin. A hot-fire test for Endeavour's auxiliary power unit system is scheduled for tonight. The APUs provide the hydraulic pressure needed to move the ship's wing flaps and main engine nozzles and deploy the landing gear. Then gantry-like Rotating Service Structure will be moved around Endeavour later on Saturday. Endeavour has climbed up the concrete ramp of launch pad 39B, its crawler-transporter having used massive hydraulic pistons to keep the mobile platform level. Now atop the pad surface, a precision laser guidance system will help align the platform over the pad pedestals. The crawler will lower the platform onto the pedestals to complete the rollout. This is the final time a space shuttle will stand on Kennedy Space Center's pad 39B before the site is transformed into the launch site for the next-generation Ares 1 rocket. For those keeping score at home, it has been 650 days since a shuttle has been perched atop pad 39B. That was December 2006 when Discovery launched on the STS-116 mission. Now four hours into this morning's rollout of Endeavour. The transporter is making good progress and the rain showers have stayed away from Kennedy Space Center. A gallery of pictures showing Endeavour's late-night departure from the Vehicle Assembly Building can be seen here. Space shuttle Endeavour is on the road to launch pad 39B, leaving the Vehicle Assembly Building where it has spent the past week being attached to the external fuel tank and twin solid rockets atop a mobile platform. Hauling the shuttle stack out to the pad is one of NASA's two Apollo-era crawler-transporters. That familiar hum of the crawler's engines can be heard all around the VAB area, breaking the nighttime silence at the spaceport now that the shuttle is beginning to emerge through the doorway of the 52-story landmark building. This 4.2-mile trek will take about eight hours to complete as the massive display of space-age hardware slowly inches toward the seaside launch pad. The combined weight of the transporter, mobile launch platform and shuttle Endeavour is 17.5 million pounds. About 30 people are aboard the transporter to operate it during the rollout, including three drivers -- a prime and backup in the front cabin and one in the rear -- a jacking and leveling operator, a control room operator to run crawler systems and talk with the Launch Control Center, two electricians, two electronic technicians and four diesel mechanics for starting, monitoring and shutting down the transporter's engines. The other team members are mechanics watching over the roll and helping with the platform's docking to the launch pad. The transporter consumes 126 gallons of diesel fuel in each mile it travels from the VAB to pad. The vehicle has a fuel capacity of 5,000 gallons. ROLLOUT BEGINS. The cralwer started moving at 11:15 p.m. EDT, beginning the journey of Endeavour to Kennedy Space Center's launch pad 39B. Go for rollout! Endeavour is ready and now the weather is too. Approval to start moving the shuttle to pad 39B has been given. Officials are taking their planned weather briefing. The overnight outlook remains essentially the same with a few clouds at 2,000 feet and a layer of scattered clouds at 25,000 feet, visibility of 7 miles or better, a northeasterly wind of 15 peaking to 22 knots, a temperature between 75 and 78 degrees F, a 20 percent chance of rain showers and a 10 percent chance of lightning within 20 miles of Complex 39. Showers and isolated thunderstorms coming off the Atlantic Ocean are the concerns. Ground teams are proceeding with their to-do list to ready the space shuttle for its departure from the Vehicle Assembly Building in the next couple of hours, weather permitting. The doors for High Bay No. 1 are open and the crawler-transporter has used its hydraualics to pick up the mobile launch platform upon which Endeavour is riding. The platform had been anchored to pedestals in the Vehicle Assembly Building. The transporter will haul the platform and shuttle on the 4.2-mile trip to pad 39B, a drive that should take about seven hours to complete. Shuttle managers will be receiving an additional weather briefing around 11 p.m. EDT to assess conditions and the forecast one more time before giving either a "go" or "no go" for tonight's rollout. There have been a few showers around the Cape this evening. But at Complex 39 right now, it is a star-filled sky with only scattered clouds. A pre-rollout weather briefing was just completed. The latest forecast for the overnight rollout calls for a few clouds at 2,000 feet and a layer of scattered clouds at 25,000 feet, visibility of 7 miles or better, a northeasterly wind of 12 peaking to 18 knots, a temperature between 75 and 78 degrees F, a 20 percent chance of rain showers and a 10 percent chance of lightning within 20 miles of Complex 39 during the late-night and early morning hours. Thunderstorms and lightning around the spaceport Wednesday night forced officials to delay the rollout until this evening. Endeavour's rollout to pad 39B could get underway as early as 11 p.m. EDT tonight, officials say. The team responsible for moving the space shuttle is scheduled to report for duty at 8 p.m. to restart the rollout preps following last night's weather scrub. NASA officials determined that the weather was too unstable for Endeavour to leave the safe shelter of the Vehicle Assembly Building for the multi-hour trip out to the launch pad this morning. Weather conditions had looked poor late Wednesday afternoon before clearing in the early evening. But shortly before the rollout was supposed to begin, thunderstorms and lightning began firing up around the area. So Endeavour gets an extra day in the VAB. SCRUBBED. Shuttle Endeavour will remain inside the Vehicle Assembly Building for an additional 24 hours. NASA officials decided to postpone the rollout due to weather concerns. Endeavour's 4.2-mile trip from the VAB to launch pad 39B is now scheduled to begin at 12:01 a.m. EDT (0401 GMT) on Friday. The sliding doors of the Vehicle Assembly Building's High Bay No. 1 are open in preparation for tonight's rollout of space shuttle Endeavour. The rain has moved away from the Cape area and it's a nice evening for the spacecraft's slow trek to launch pad 39B. Endeavour's journey out to the launch pad remains scheduled to get underway around midnight local time at the Kennedy Space Center. The team responsible for moving the space shuttle reported for duty at 8 p.m. The latest weather forecast for the overnight rollout calls for a few clouds at 2,000 feet and a layer of broken clouds at 20,000, visibility of 7 miles or better, a northeasterly wind of 8 knots, a temperature between 77 and 80 degrees F and a 20 percent chance of showers. A frontal boundary sweeping through the central Florida area has bought overcast skies and rain. But meteorologists say there's only a 10 percent chance of lightning within 20 miles of Complex 39 during the overnight and morning hours. The threat of precipitation and lightning goes up Thursday afternoon, and there's a possibility of stormy conditions late in the day. Endeavour should reach the launch pad shortly after sunrise and be secured, beginning a month-long campaign to serve as a quick-response vehicle in the unlikely event the Atlantis astronauts need to be rescued during the Hubble Space Telescope servicing mission. Technicians inside the Vehicle Assembly Building are wrapping up work on space shuttle Endeavour ahead of Thursday morning's rollout to launch pad 39B. The rollout team is scheduled to report on-station at 8 p.m. EDT tonight, and the 4.2-mile trip is slated to begin just after midnight. Mounted atop a mobile launching platform, the combined shuttle stack should arrive at the seaside pad in about seven hours. Endeavour will be postioned just a mile-and-a-half north of sistership Atlantis, which is undergoing preparations at pad 39A for its October 10 launch to service the Hubble Space Telescope. Endeavour will stand ready to fly a rescue mission if Atlantis suffers a serious a problem. Over the history of NASA's space shuttle program, it has been a rarity for both launch pads at Complex 39 to be occupied at the same time. When Endeavour rolls out tomorrow, it will mark just the 18th time that two flight-ready orbiters will be standing on the dual seaside pads. Endeavour went vertical in the VAB on Thursday evening, and then overnight was moved into position for bolting to the external fuel tank. By late Friday, the orbiter had been secured to the tank and workers were disassembling the crane that was used to lift Endeavour. In the center aisle of the Vehicle Assembly Building, an overhead crane has hoisted Endeavour off the transporter that ferried the shuttle from the hangar this morning. Technicians spent the past few hours hooking up the large yellow sling to the orbiter. Now that Endeavour is in the grasp of the crane, the transporter can be driven away. Endeavour will soon go vertical and head into the assembly bay where the external fuel tank and solid rocket boosters are stacked aboard the mobile launch platform. A gallery of pictures showing Endeavour's sunrise move this morning can be seen here. IN THE VAB! Space shuttle Endeavour has arrived inside the cavernous Vehicle Assembly Building where the ship will be mated to its external fuel tank and twin solid rocket boosters. A metal "sling" is poised to capture Endeavour later today, lifting the shuttle from the transport hauler that carried it from the hangar during the past hour. A heavy-duty crane will rotate the spacecraft vertically, then begin the methodical process of hoisting the ship high into the rafters, over to the assembly bay and carefully lowering Endeavour into position next to the awaiting fuel tank for attachment. Once the completed shuttle stack is fully mated, the interface verification test will be conducted to ensure good electrical and mechanical connections between the vehicle elements. Rollout to launch pad 39B is targeted to begin at midnight next Thursday morning. It will mark the first time in seven years that both shuttle pads have been occupied at the same time. Shuttle Atlantis was moved to pad 39A last week. The two missions have an unusual coupling because Endeavour will stand poised for launch as a rescue vehicle should Atlantis suffer a major problem during its October flight to service the Hubble Space Telescope. Since Hubble flies in an equatorial orbit, the Atlantis crew cannot reach the space station for safe haven. That means NASA must take unique steps to have Endeavour ready to go within a matter of days if Atlantis sustains damage and engineers deem the ship unsafe for re-entry. Assuming Atlantis is declared to be in good shape, Endeavour can be transferred to pad 39A and undergo final preps for its space station flight that will haul equipment and supplies to the outpost. Liftoff of the 15-day mission is slated for November 12 at 8:43 p.m. EST. Led by commander Christopher Ferguson, the Endeavour crew includes pilot Eric Boe, mission specialists Stephen Bowen, Shane Kimbrough, Heidemarie Stefanyshyn-Piper, Don Pettit and station-bound astronaut Sandy Magnus who will remain in orbit to replace Expedition flight engineer Greg Chamitoff. He will return to Earth on Endeavour after more than five months living on the station. Endeavour is completely outside the hangar now as the sun rises on a pleasant Florida morning. The Orbiter Transporter System is doing the heavy-duty work during this morning's move. Originally designed and built for use at Vandenberg Air Force Base in California, the transporter was brought to Kennedy Space Center in 1989 after the West Coast space shuttle launch site was mothballed. The transporter is 106 feet in length, weighs 167,000 pounds unloaded and about 327,000 pounds with an orbiter on top and sports 76 wheels. It has a turning radius of 66 feet. You can envision the OTS as a yellow motorized trailer. At Vandenberg, shuttles were supposed to be prepared for flight in a hangar on the military installation's north side, then ferried aboard the OTS transporter about 17 miles across the hilly terrain to the Space Launch Complex-6 pad on South Base. In contrast, shuttles in the program's early years at KSC were towed between the hangars and Vehicle Assembly Building with the orbiters' landing gear down. But with Vandenberg's shuttle plans cancelled after Challenger, the transporter was brought to Florida and pressed into service. It allows NASA to retract a shuttle's landing gear and seal the critical heat-protection tiles around the doors while still in the hangar before rolling out. The top speed of the transporter while hauling Endeavour to the Vehicle Assembly Building is five miles per hour. The V12 engine generates about 335 horsepower. ROLL BEGINS. The wheels are turning on the motorized transporter upon which the Endeavour spaceplane is perched, beginning today's trip from the hangar to the Vehicle Assembly Building. This initial part of the move occurs at a snail's pace given the close quarters between Endeavour and the cocoon-like scaffolding inside the hangar that enclosed the ship. Once outside, the transporter will throttle up to a casual walking pace and head for the VAB. Good morning from just outside the Orbiter Processing Facility bay No. 2 where the hangar doors are open and space shuttle Endeavour will soon emerge. Mounted atop a 76-wheel transporter, the shuttle will be backed out of the space-age garage for the short drive into the Vehicle Assembly Building. The trip should take about 45 minutes. Technicians inside the cavernous 52-story building will hoist Endeavour upright and attach it to the external fuel tank and twin solid rocket boosters. Ground crews are getting ready to move space shuttle Endeavour to the Vehicle Assembly Building sometime after 6 a.m. EDT this morning. The north-side doors of the VAB have been slid open to welcome the shuttle. We'll update this page as information becomes available. In preparation for its role as a standby rescue craft during next month's Hubble Space Telescope servicing mission and the scheduled November logistics run to the international space station, shuttle Endeavour will be moved to the Vehicle Assembly Building before sunrise Thursday. Endeavour is scheduled to leave its hangar at 6 a.m. EDT (1000 GMT) for the quarter-mile transfer into the 52-story VAB where the shuttle's external fuel tank and solid rocket boosters await the orbiter's attachment. The fully assembled shuttle stack will be rolled out to launch pad 39B next week to serve as a rapid-response vehicle during Atlantis' flight to Hubble. Atlantis was positioned at pad 39A last week to be readied for launch October 10. Since Atlantis won't have the capability of reaching a safe haven at the international space station from Hubble's orbit if something goes wrong, Endeavour will be poised for launch within days from nearby pad 39B to save the astronauts. Assuming an emergency rescue isn't needed, Endeavour will switch to pad 39A in mid-October to be prepped for a supply-delivery mission to the space station. That launch is targeted for November 12 at 8:43 p.m. EST. Spaceflight Now Plus subscribers can now enjoy high definition video clips of Discovery's recent launch and landing. Beccome a subscriber today.